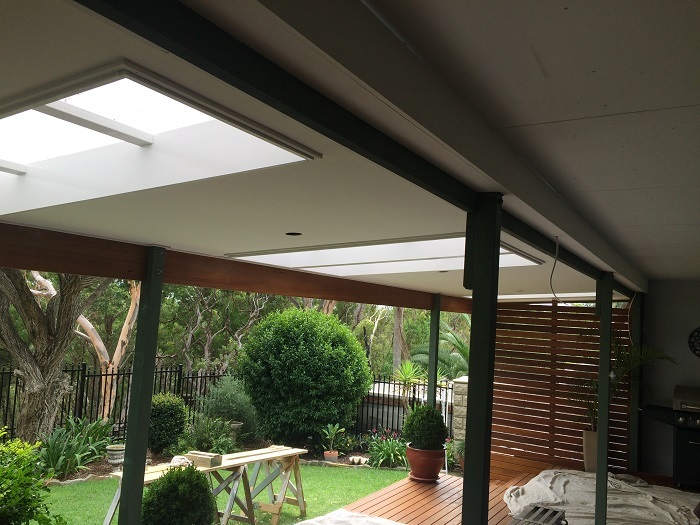 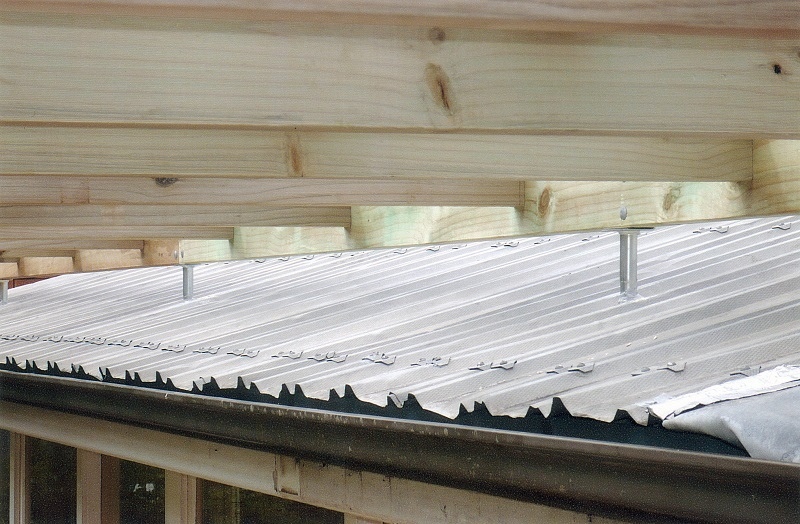 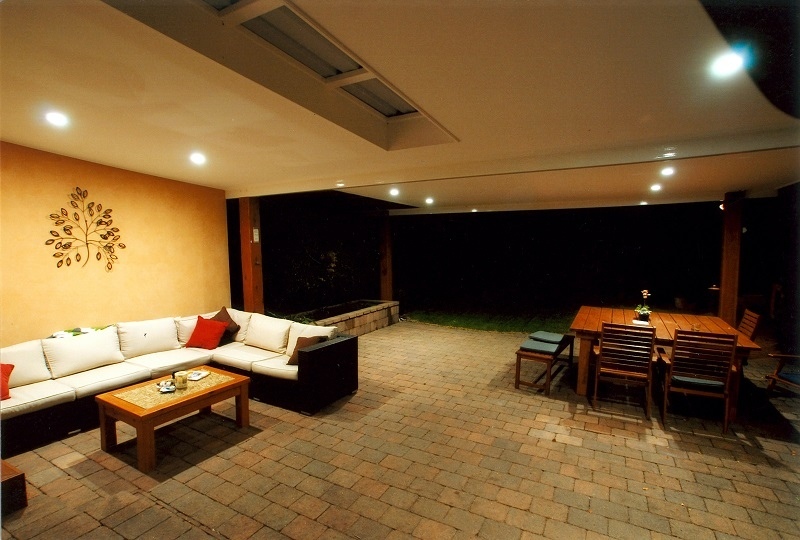 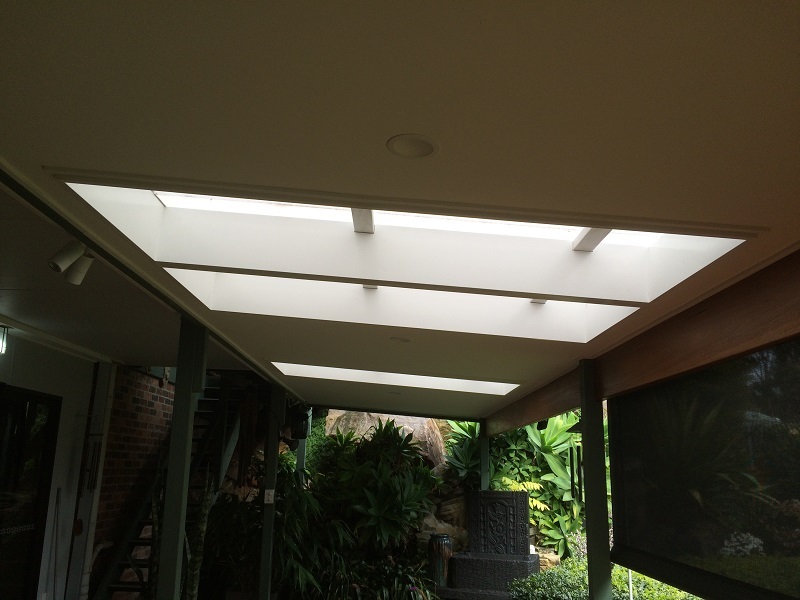 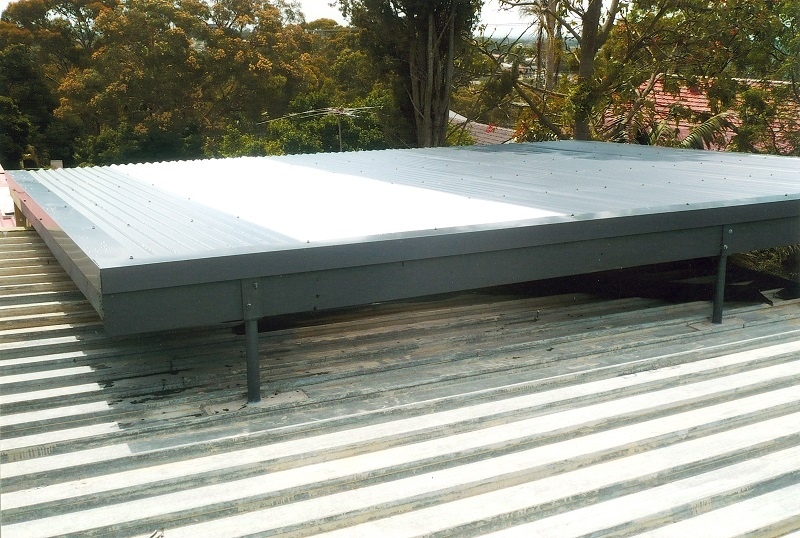 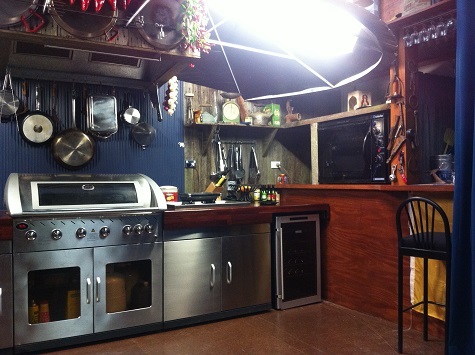 BARDWELL VALLEY - Stainless steel streamline fittings. 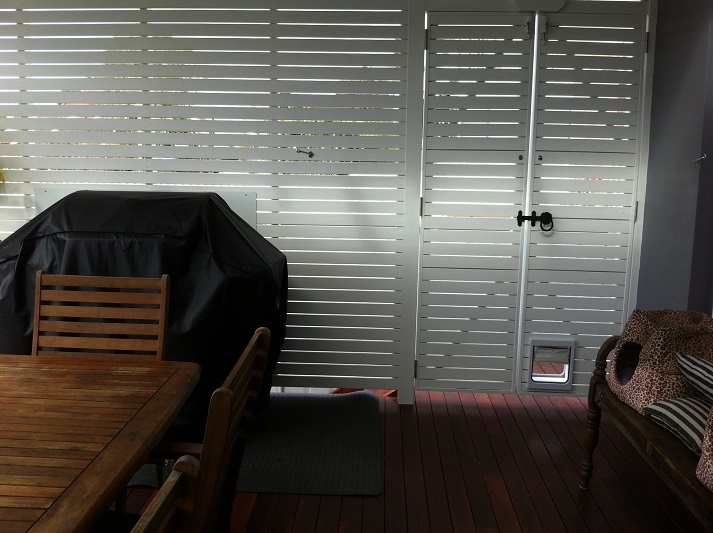 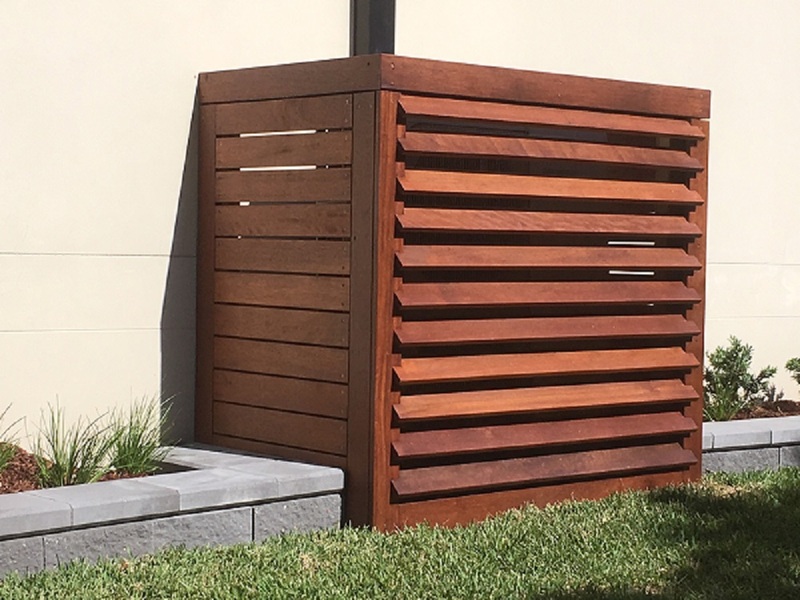 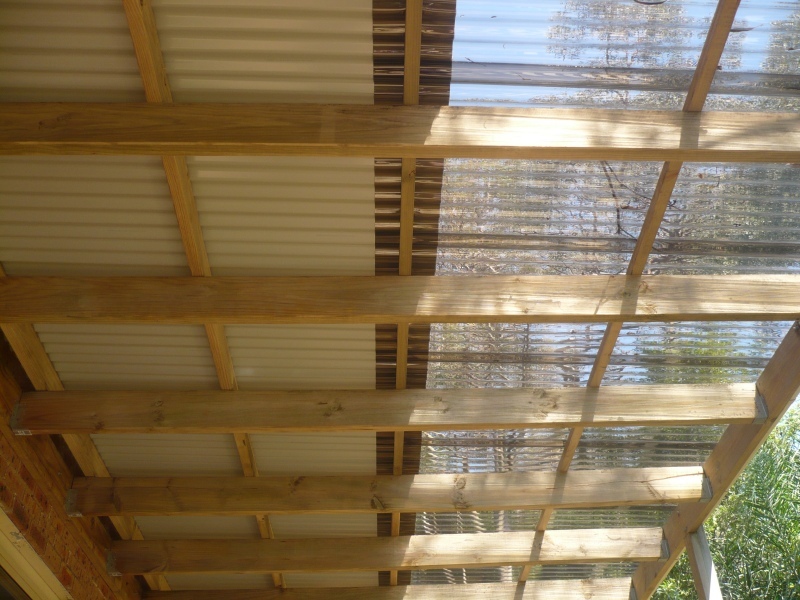 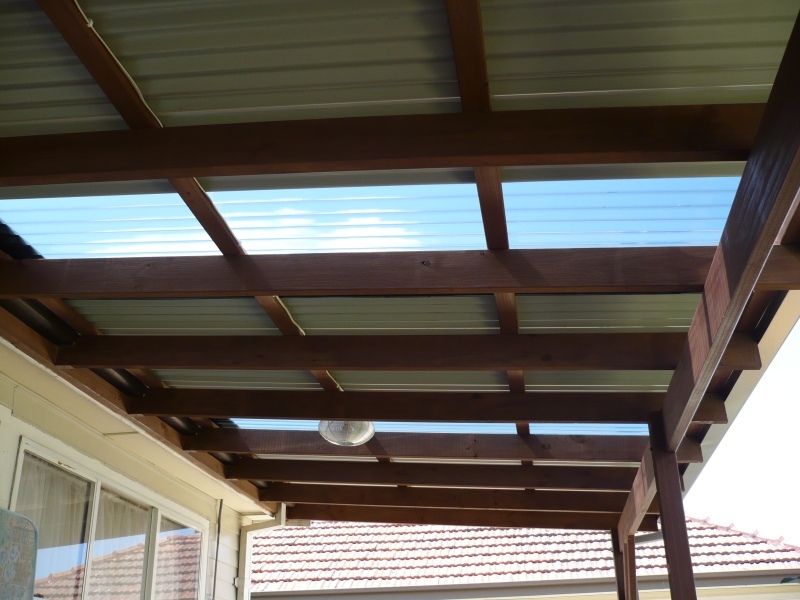 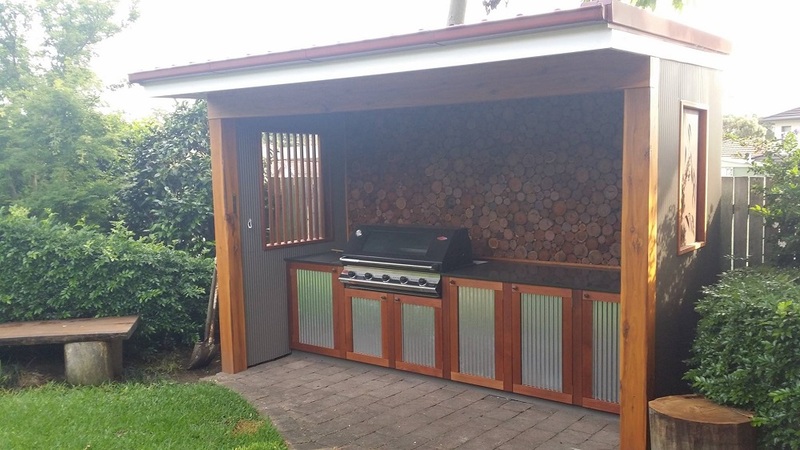 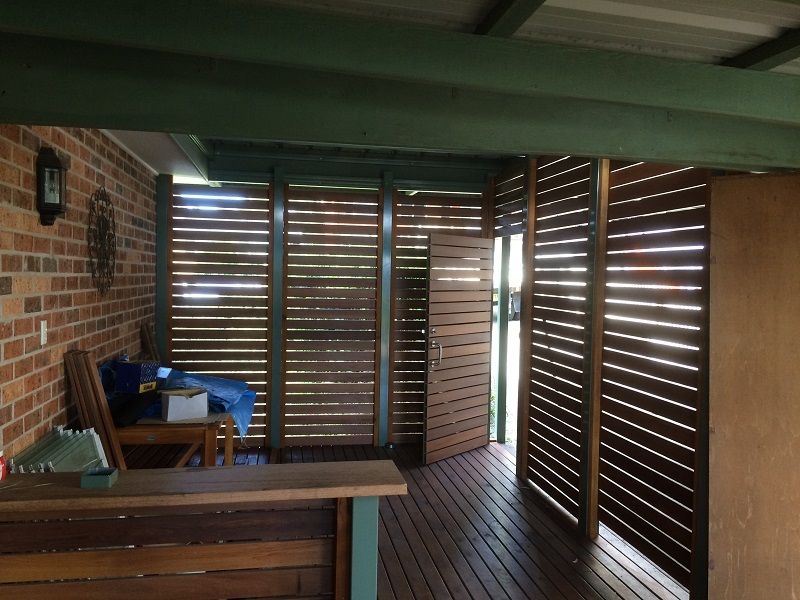 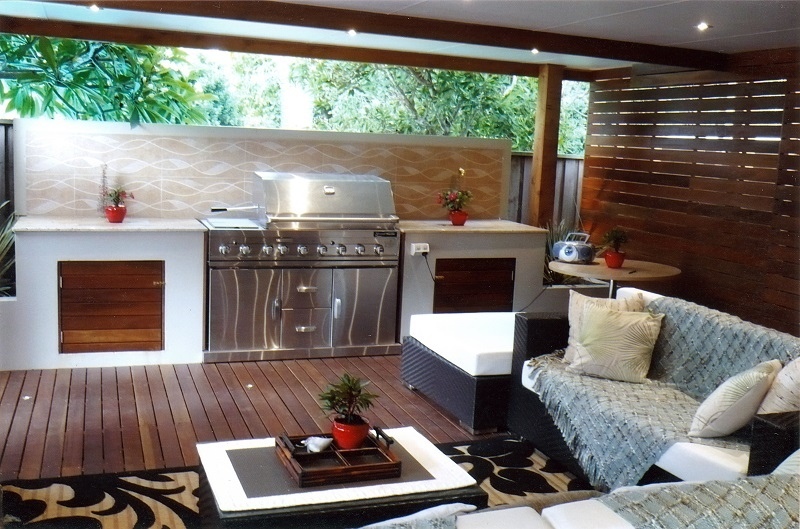 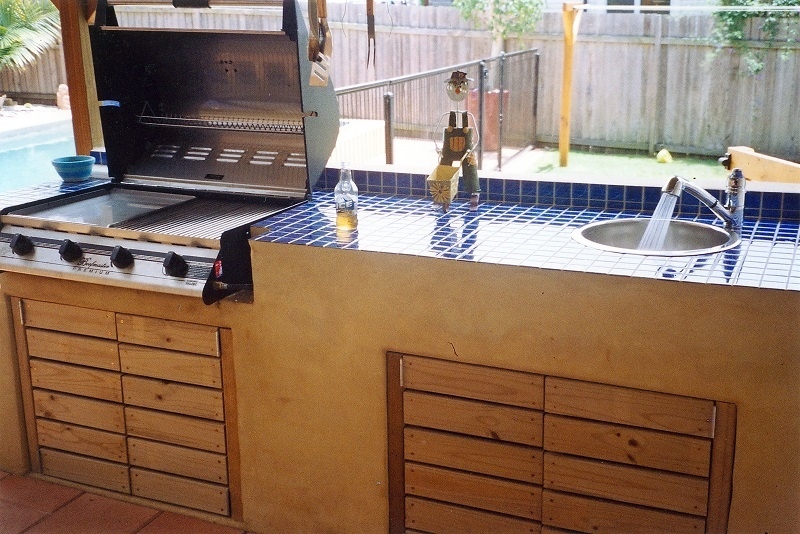 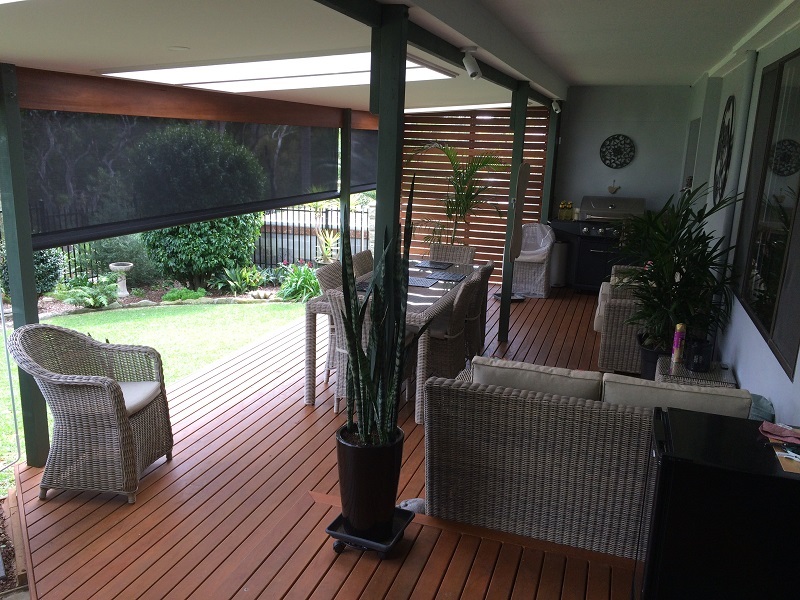 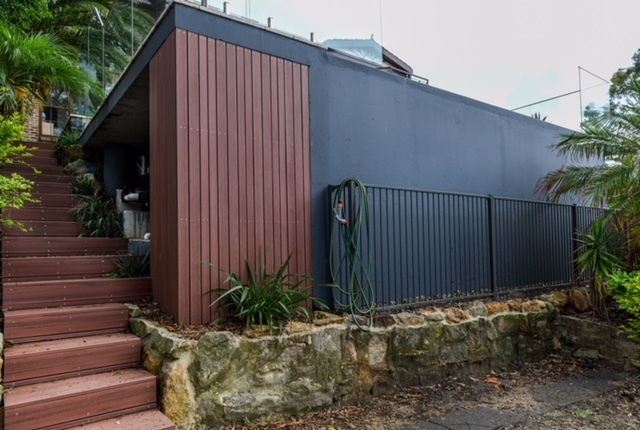 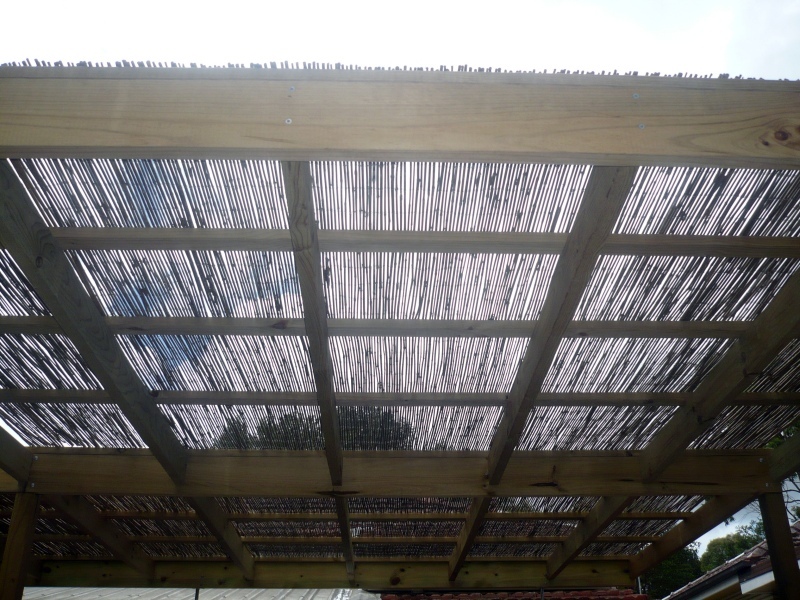 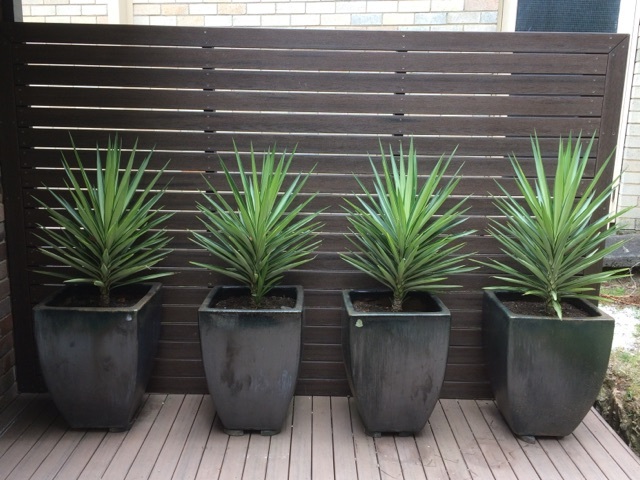 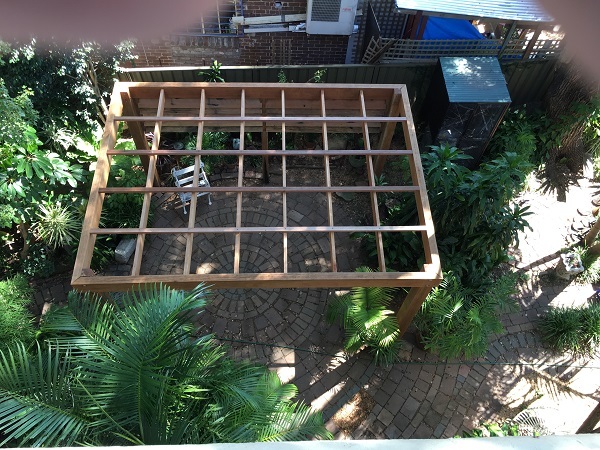 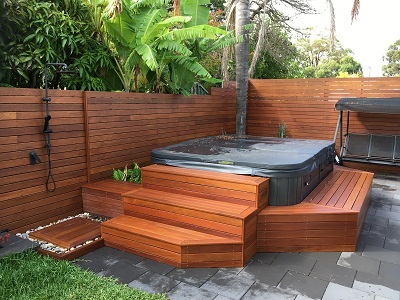 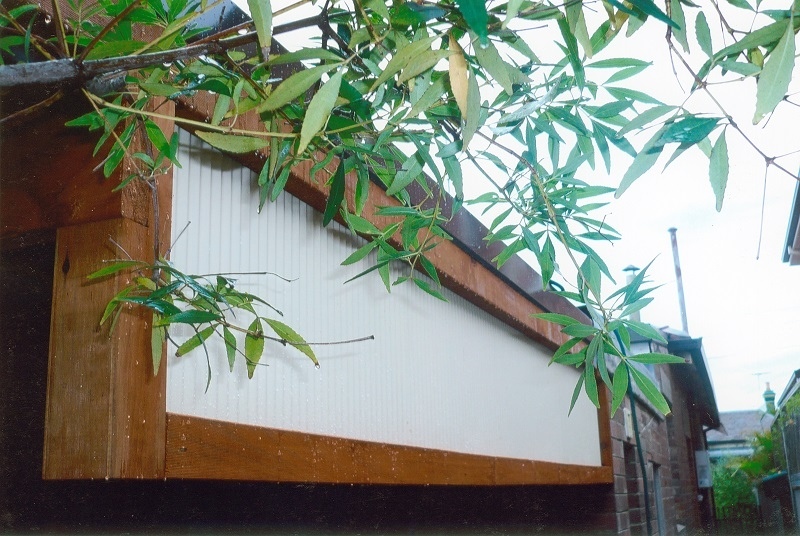 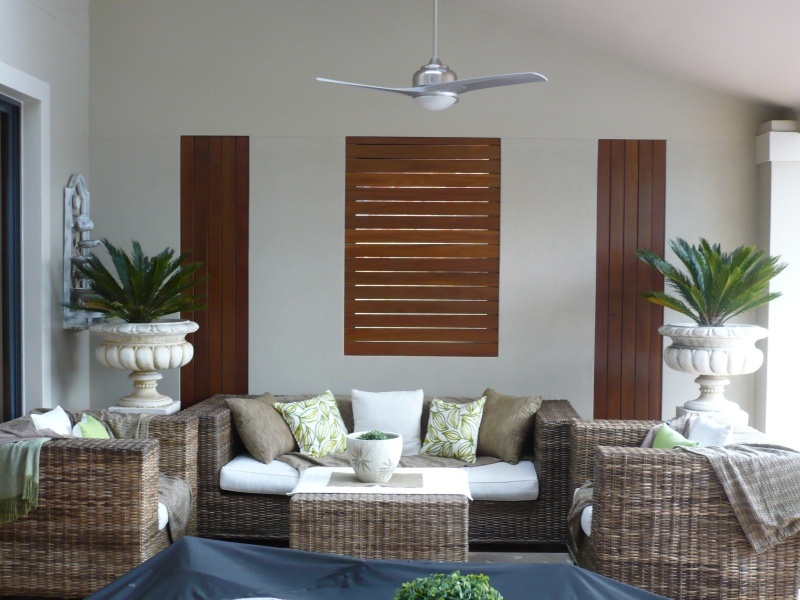 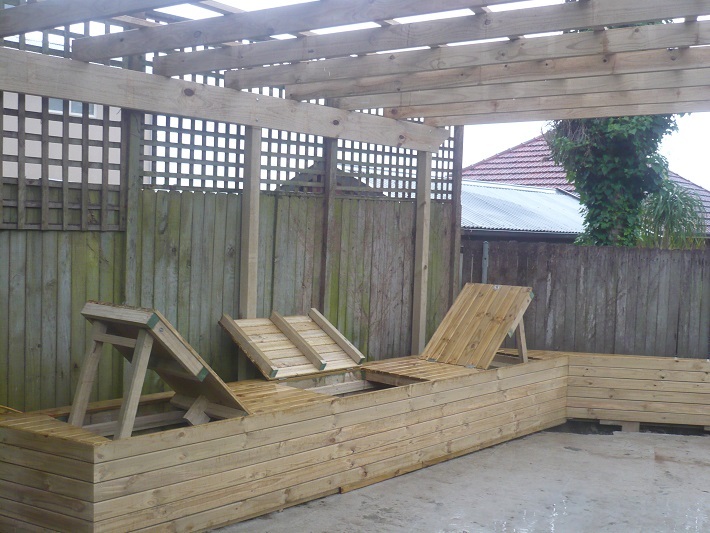 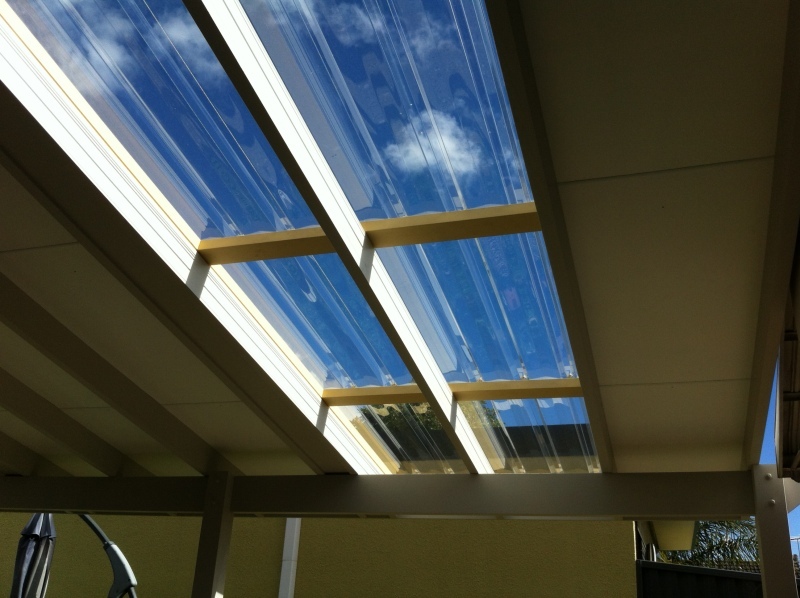 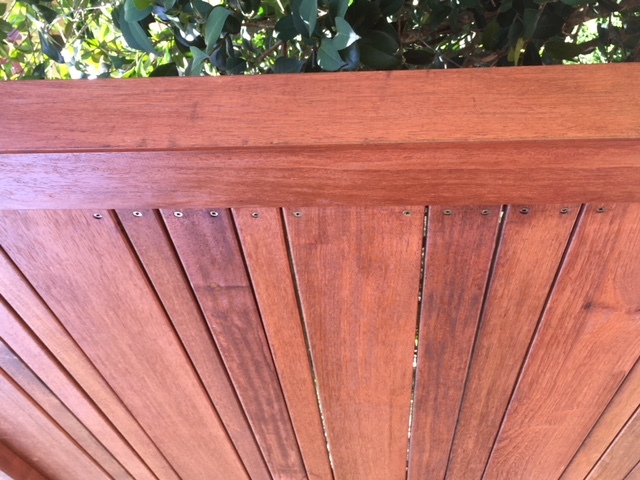 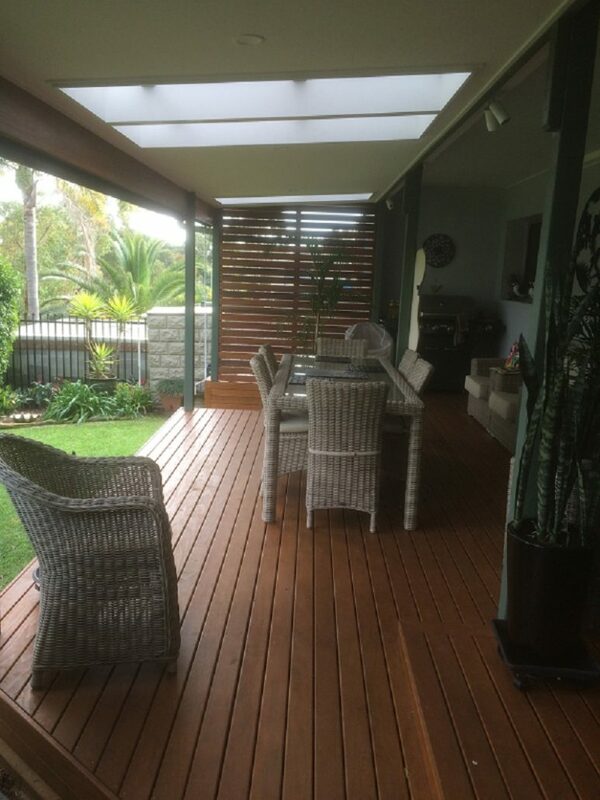 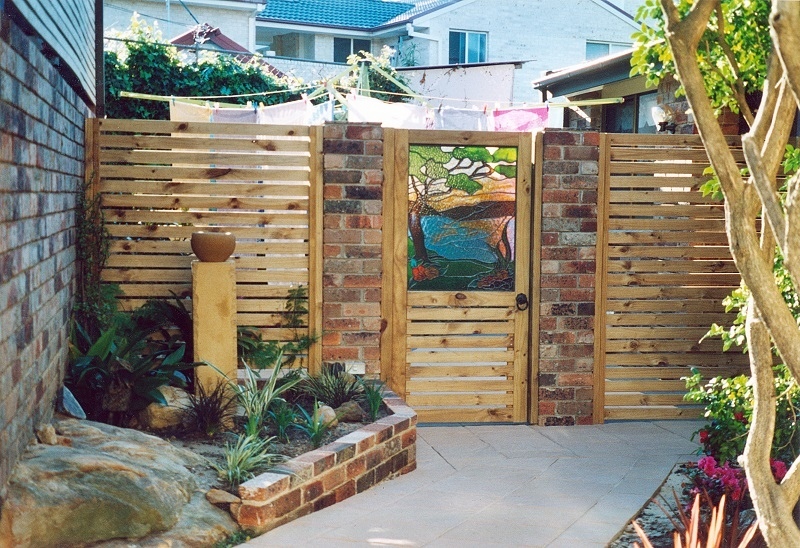 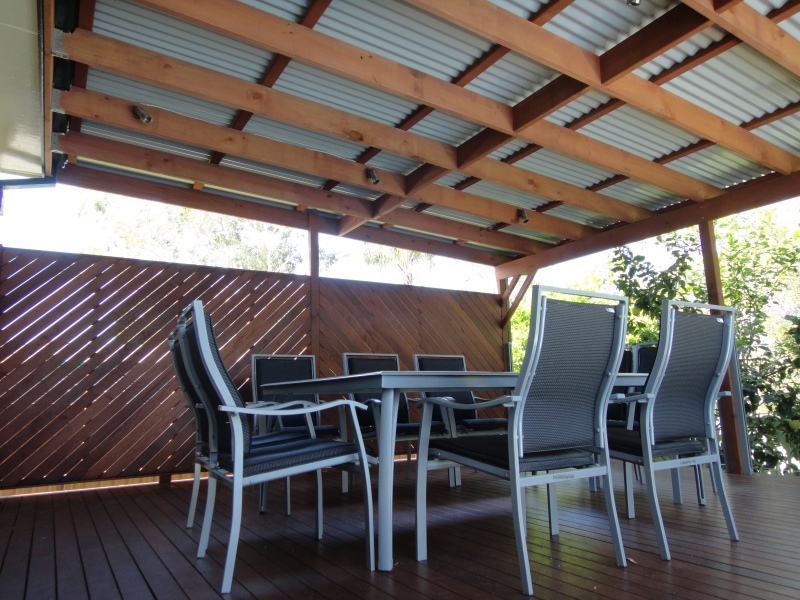 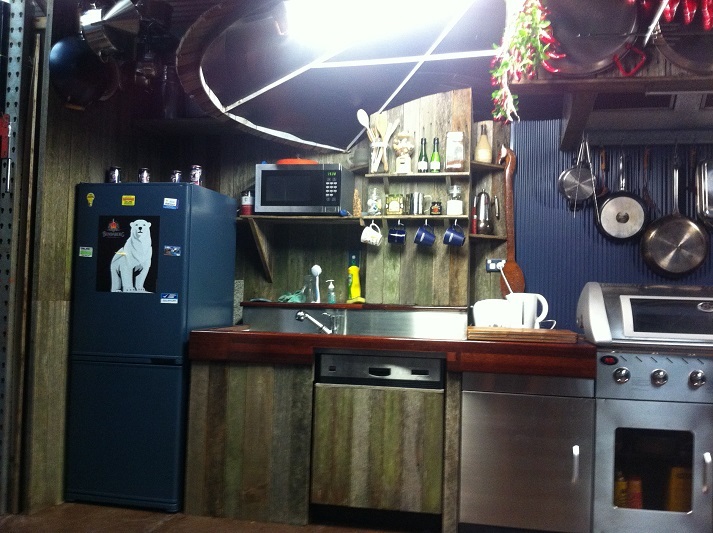 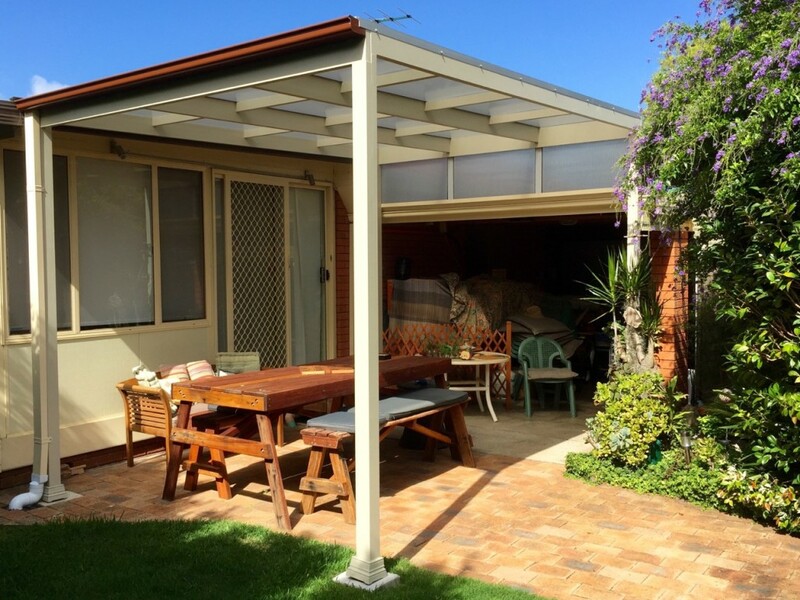 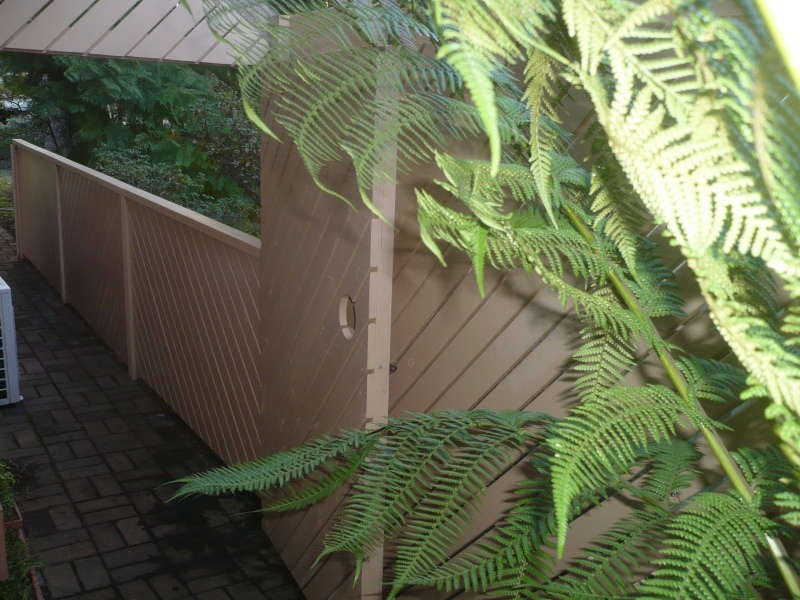 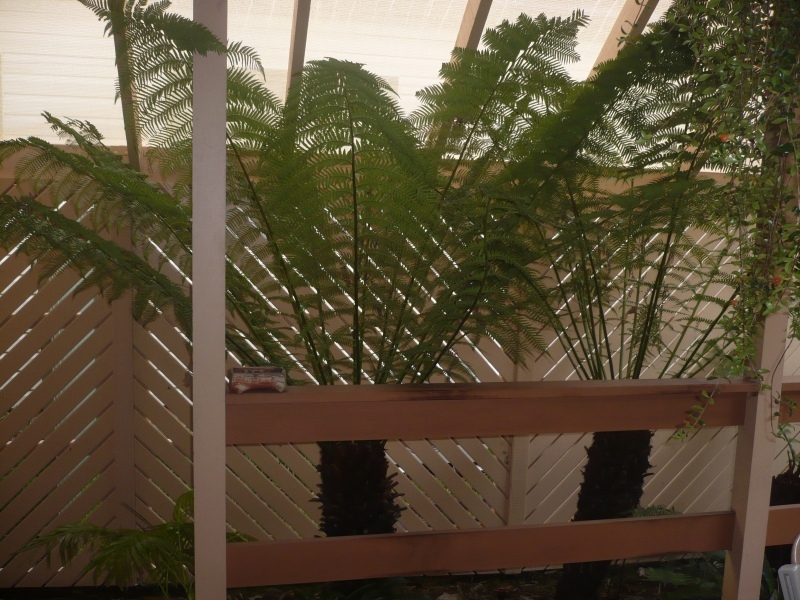 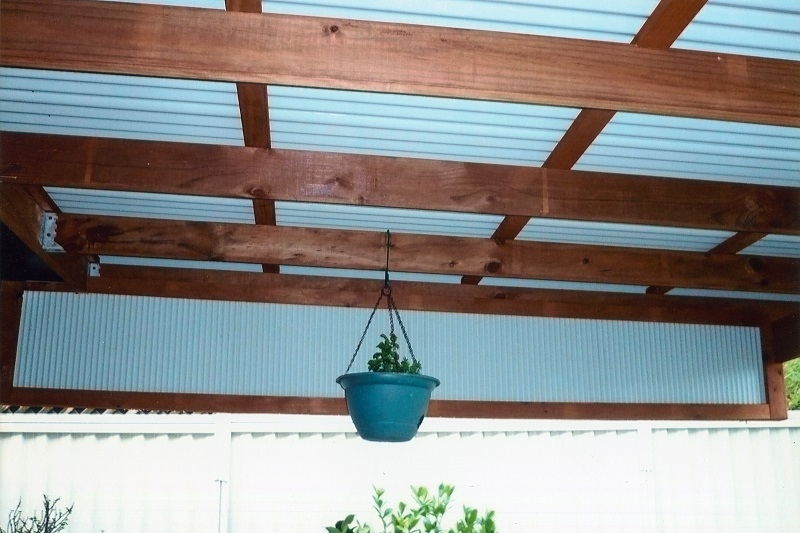 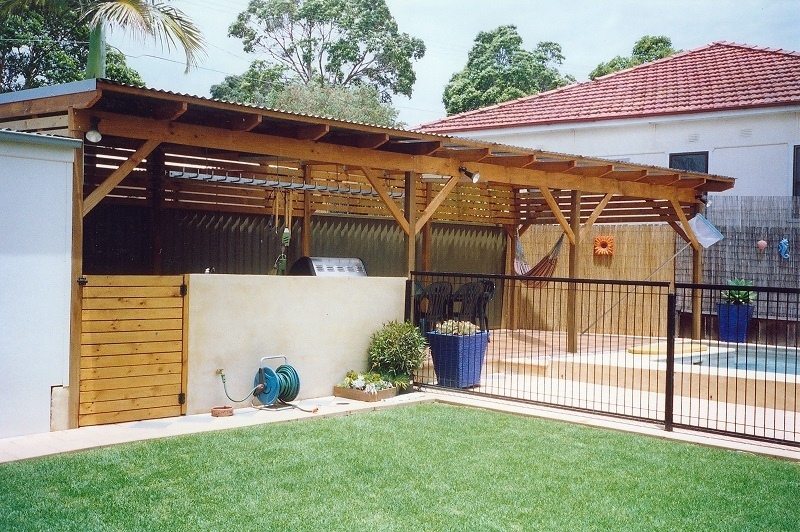 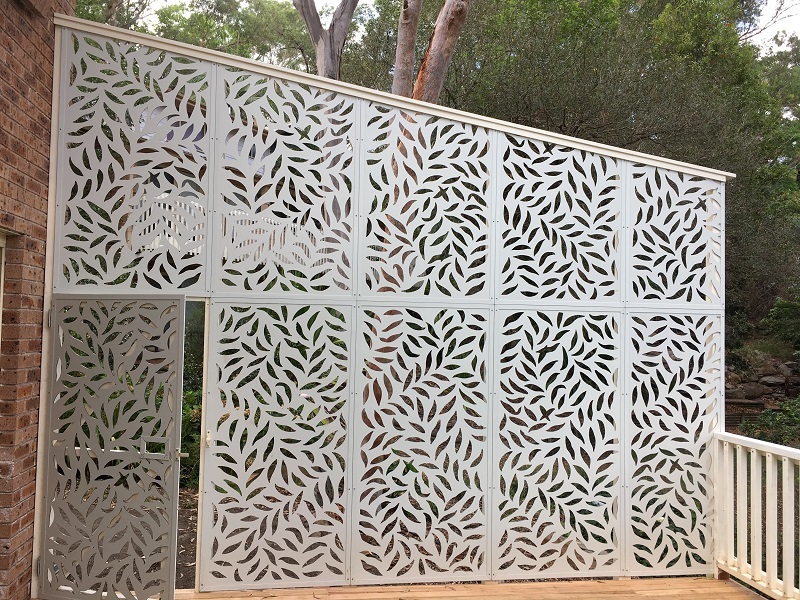 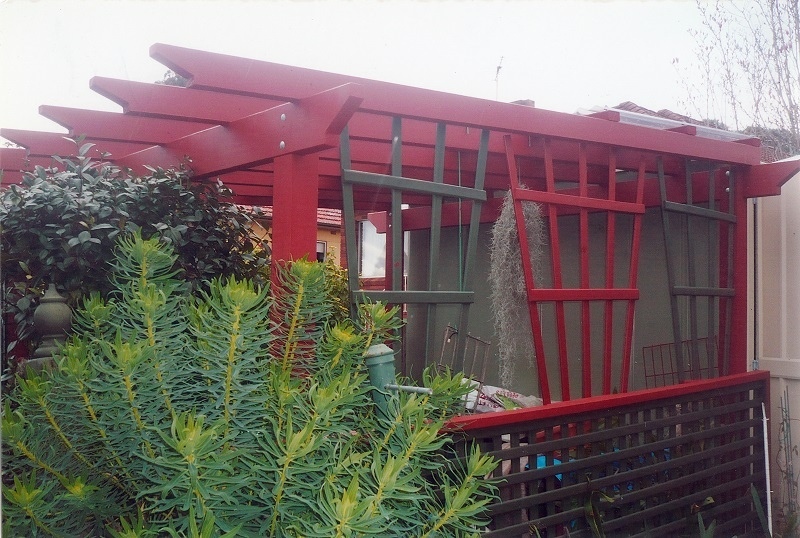 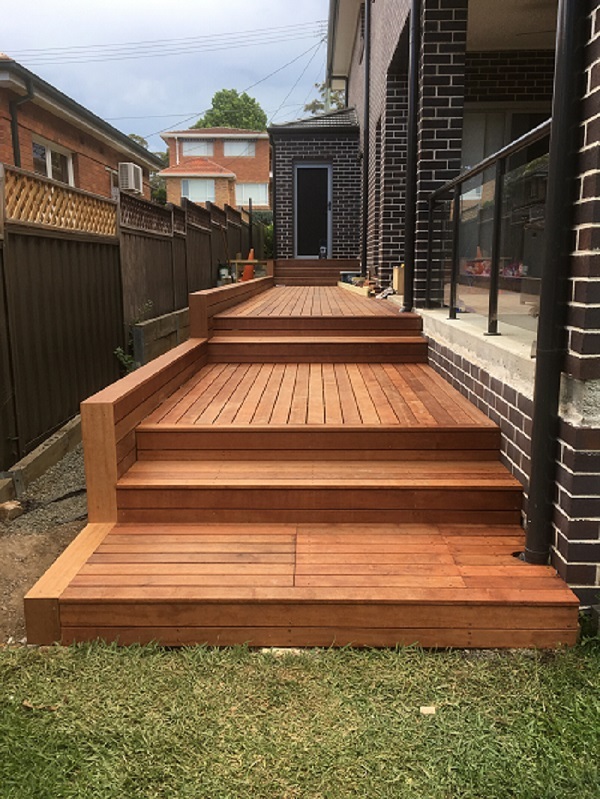 90mm Merbau decking boards and 40mm Merbau Screen. 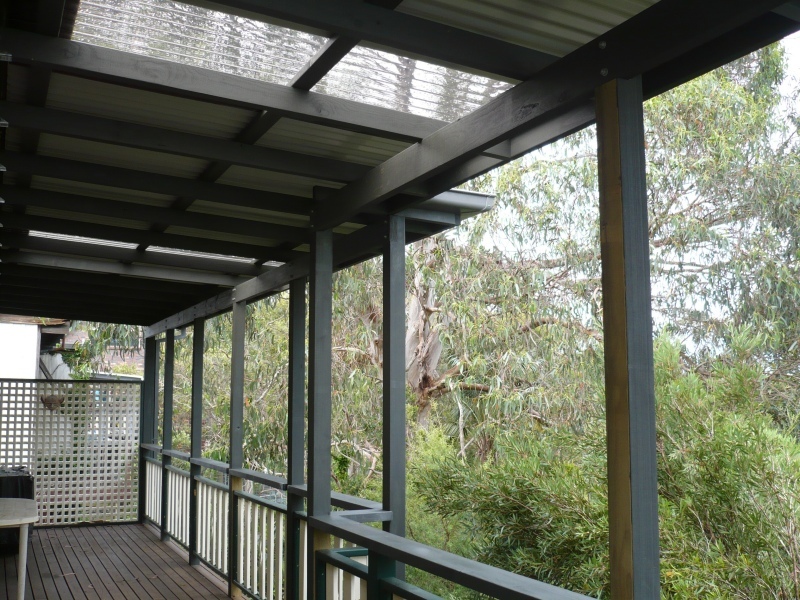 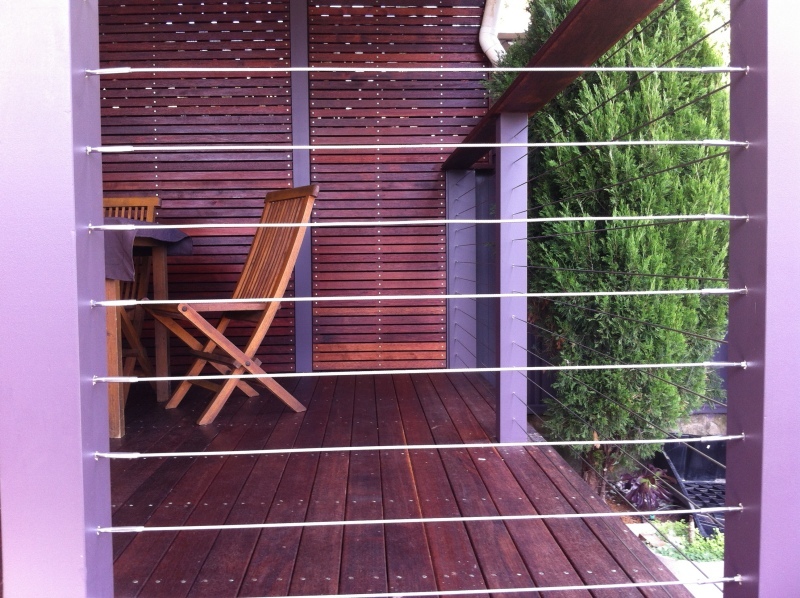 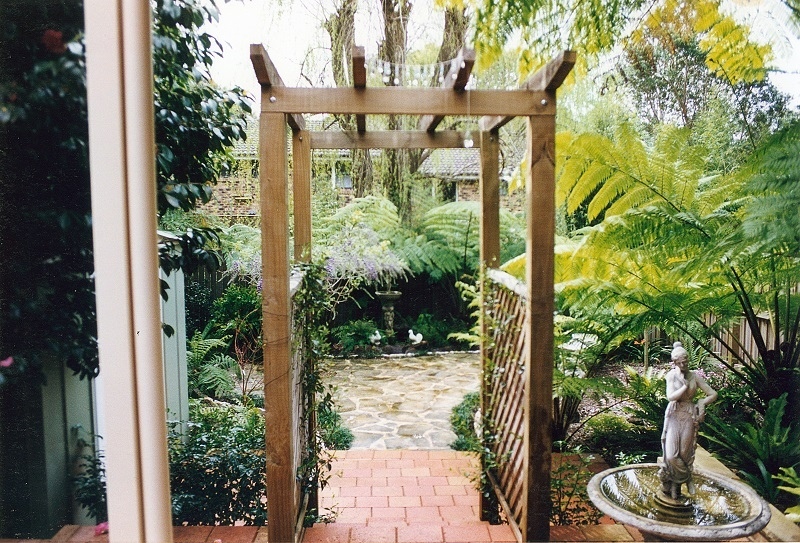 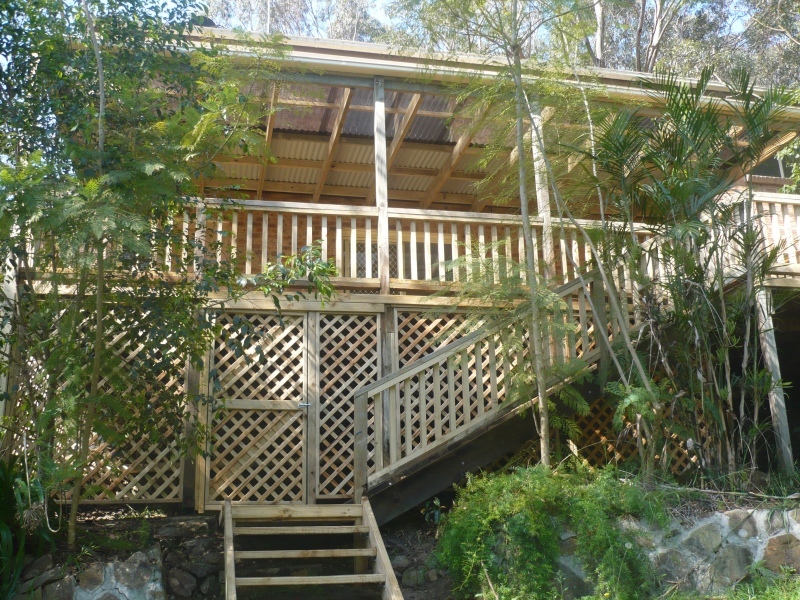 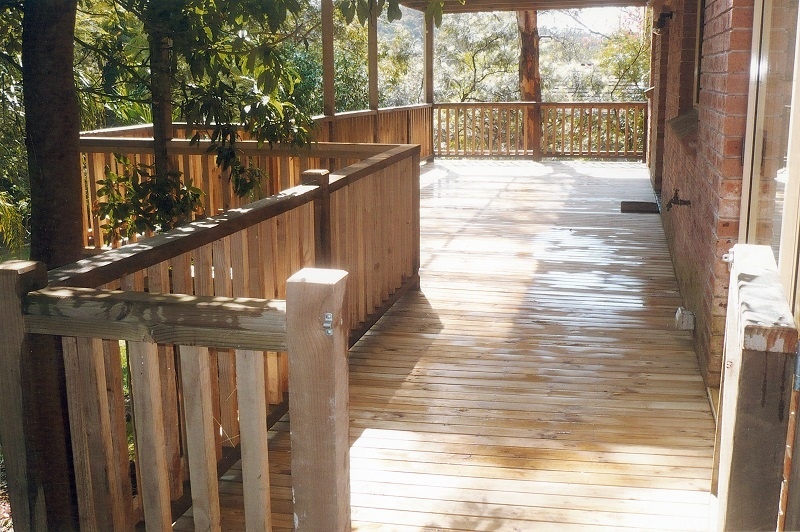 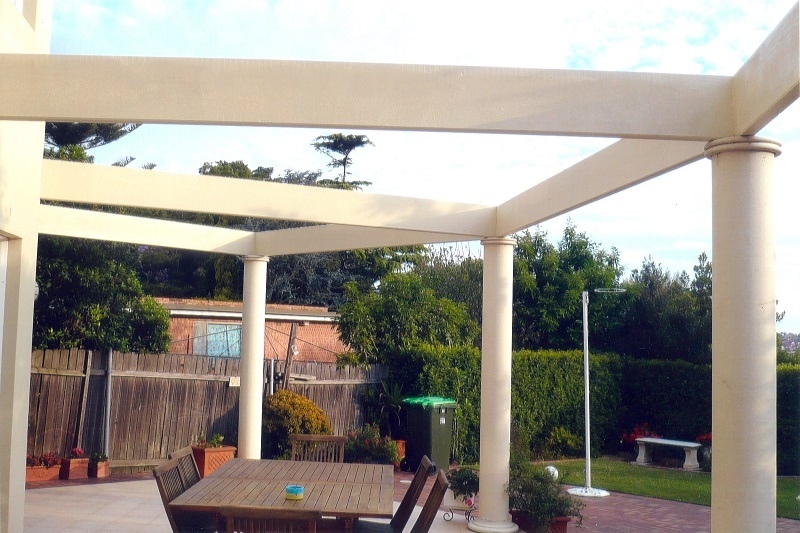 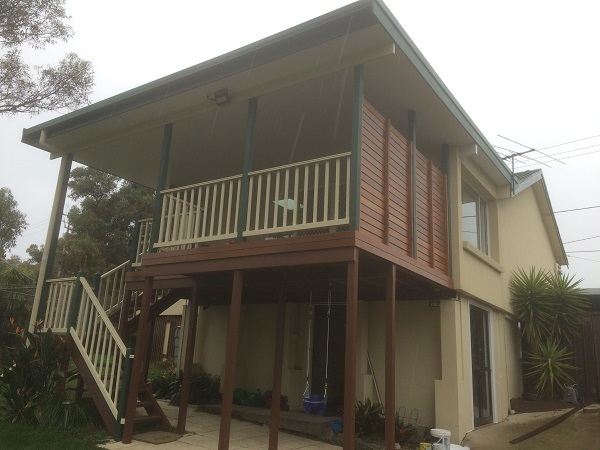 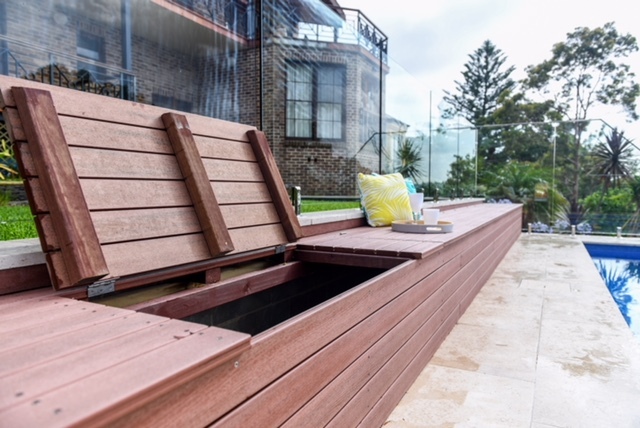 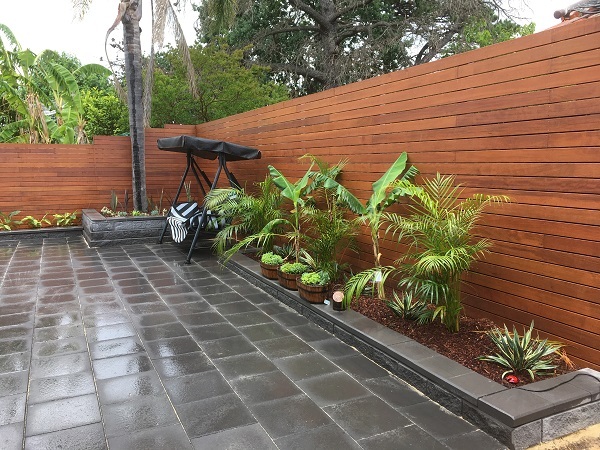 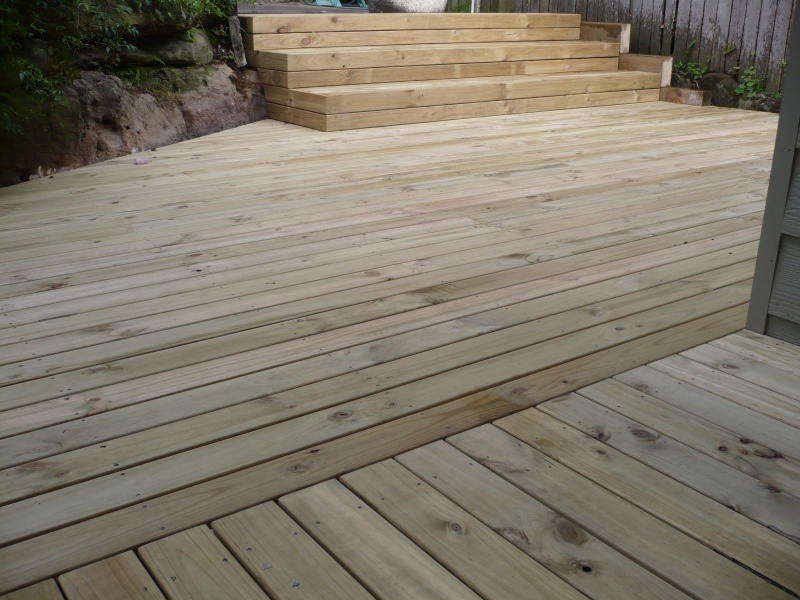 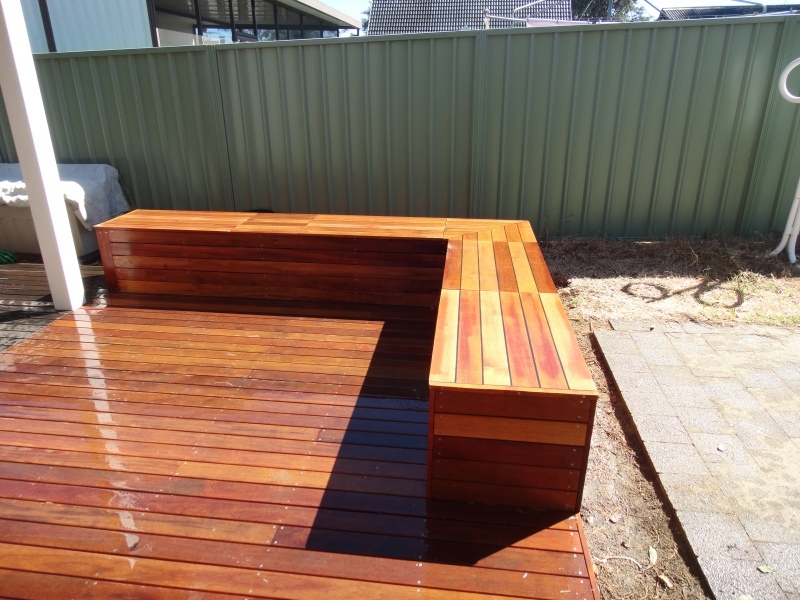 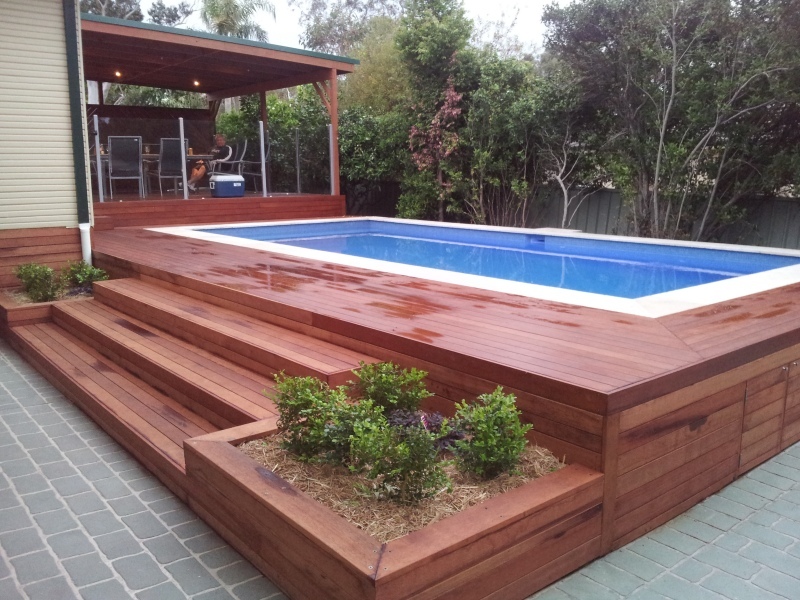 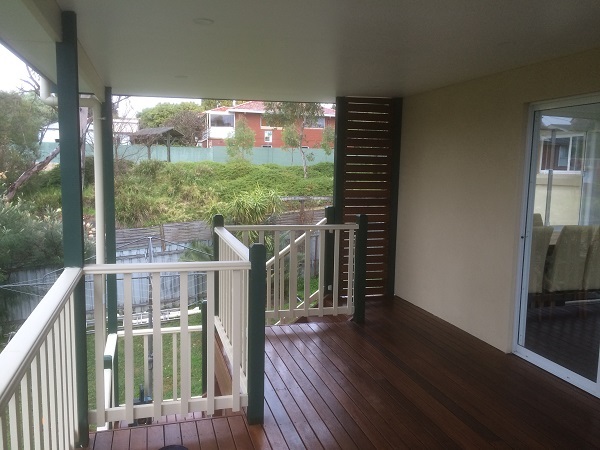 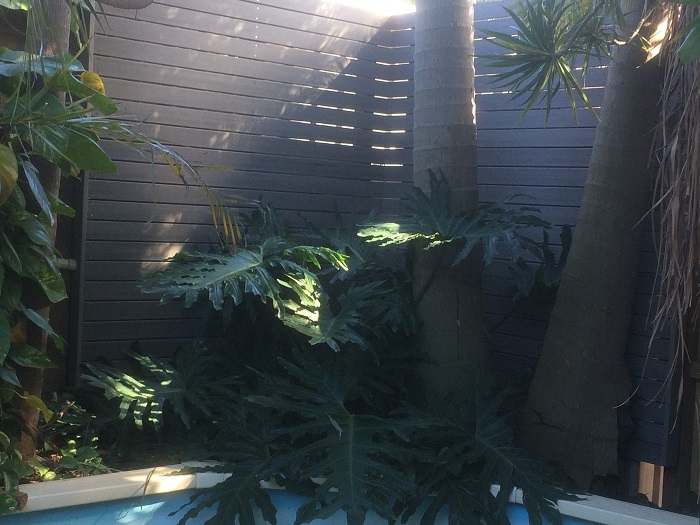 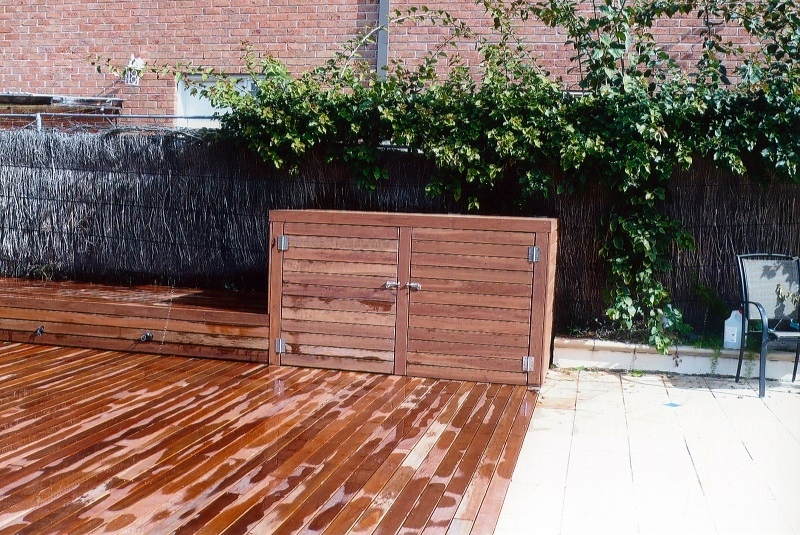 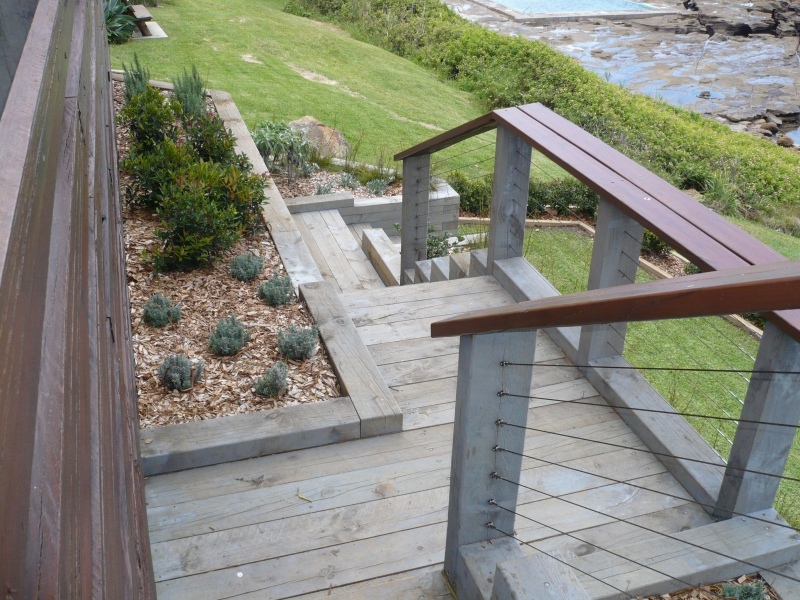 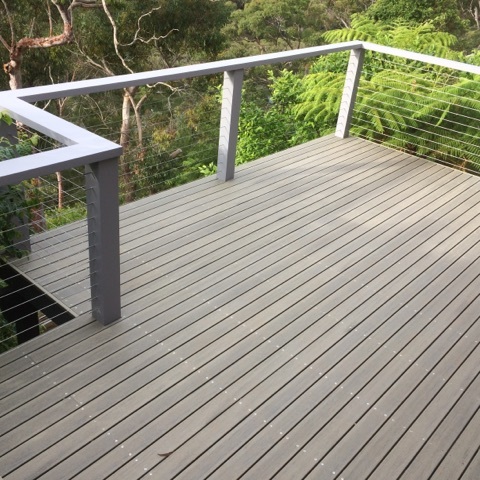 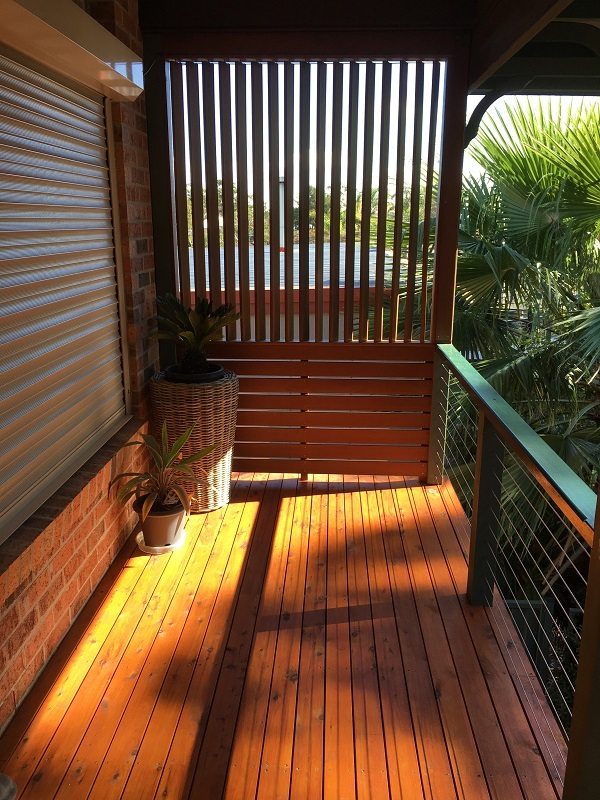 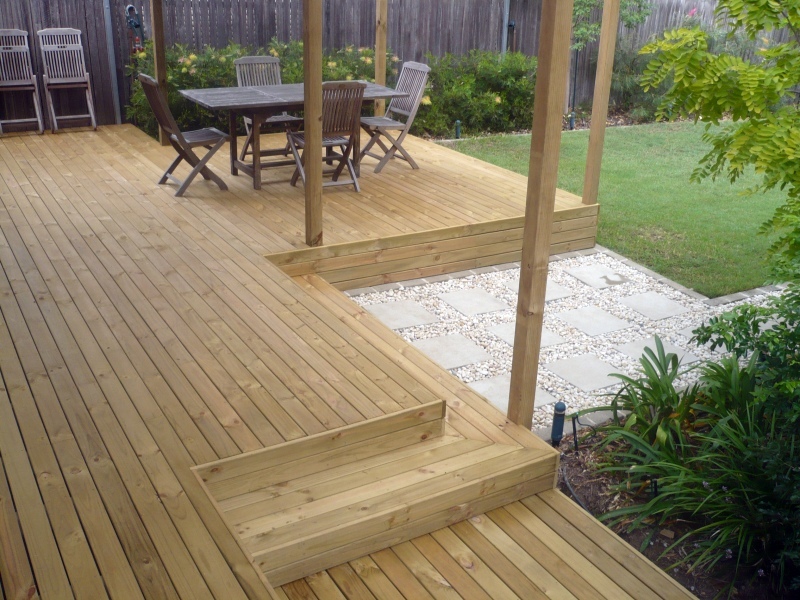 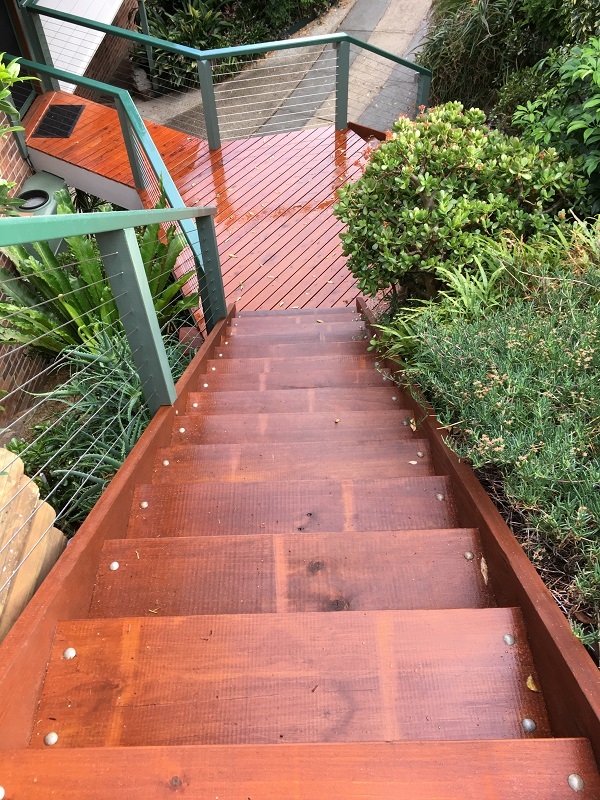 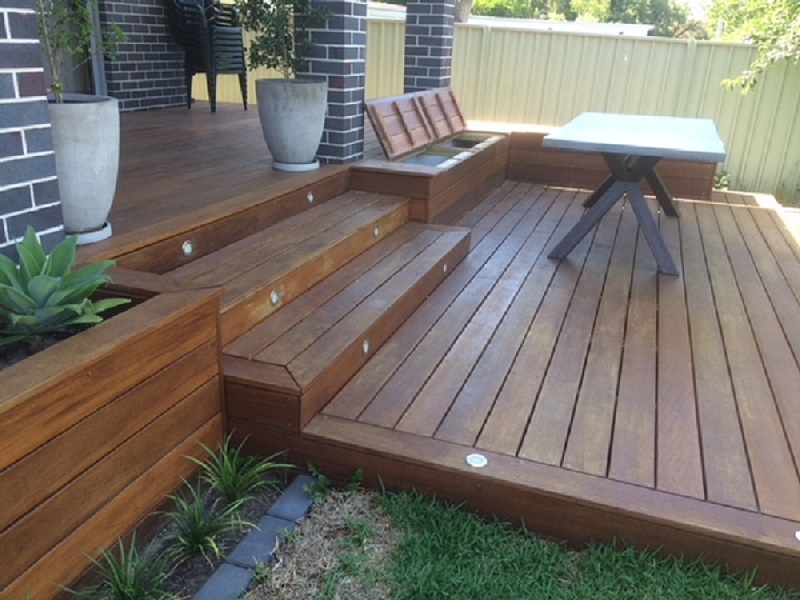 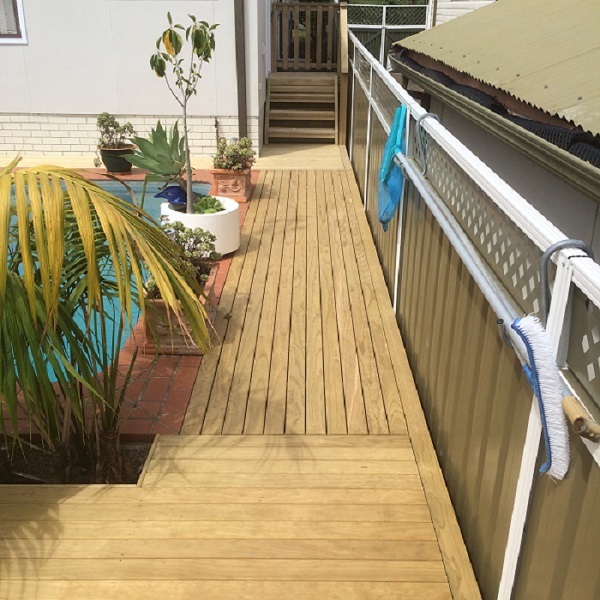 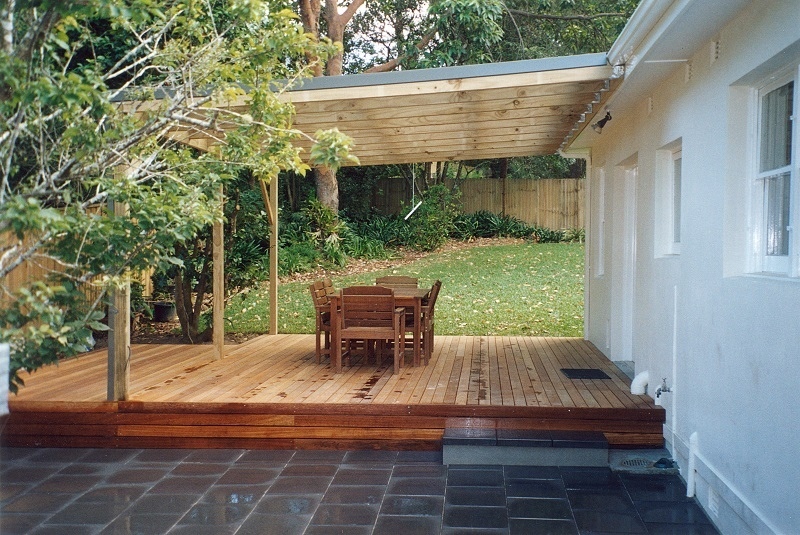 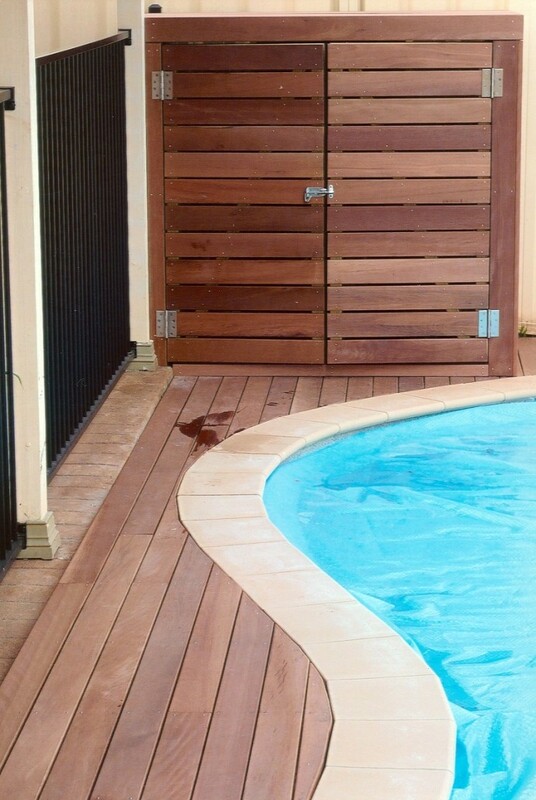 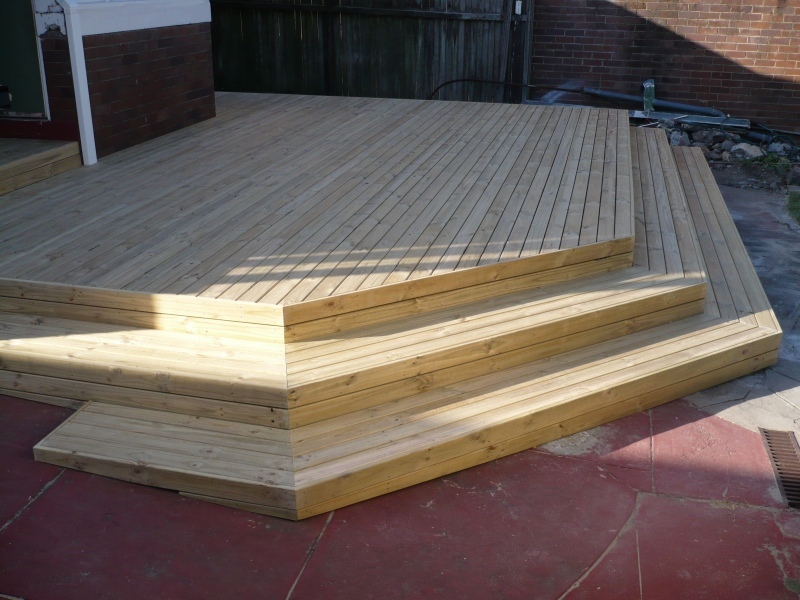 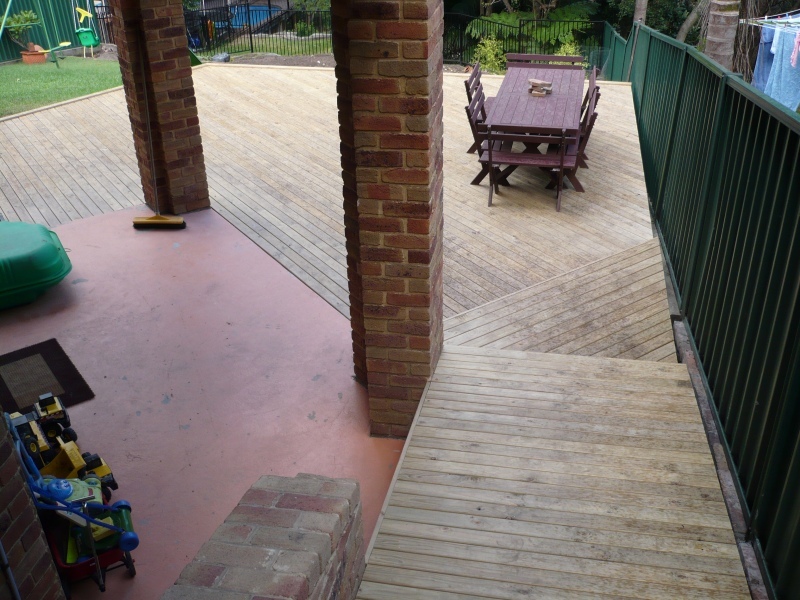 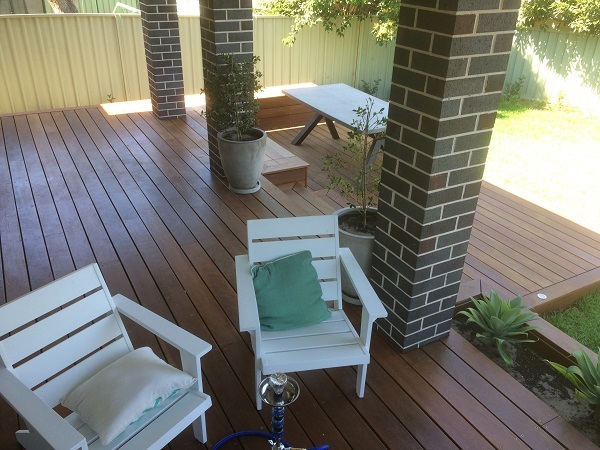 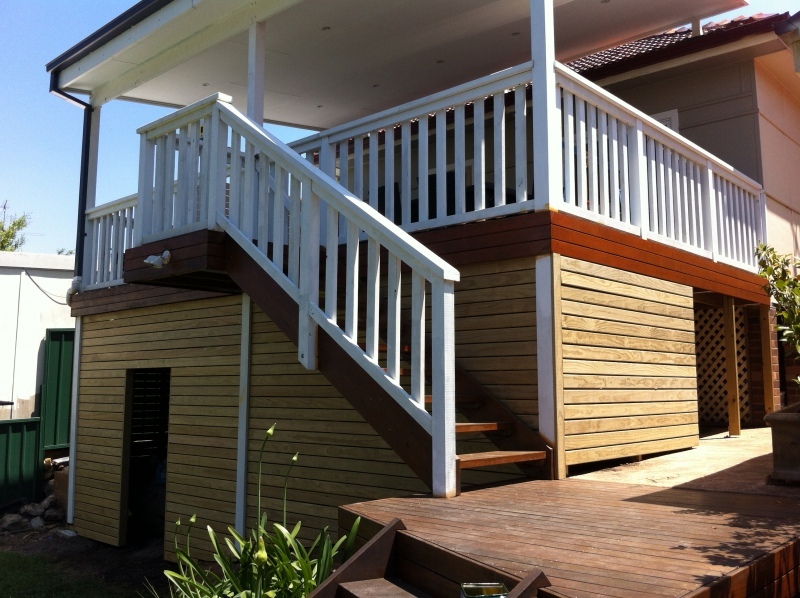 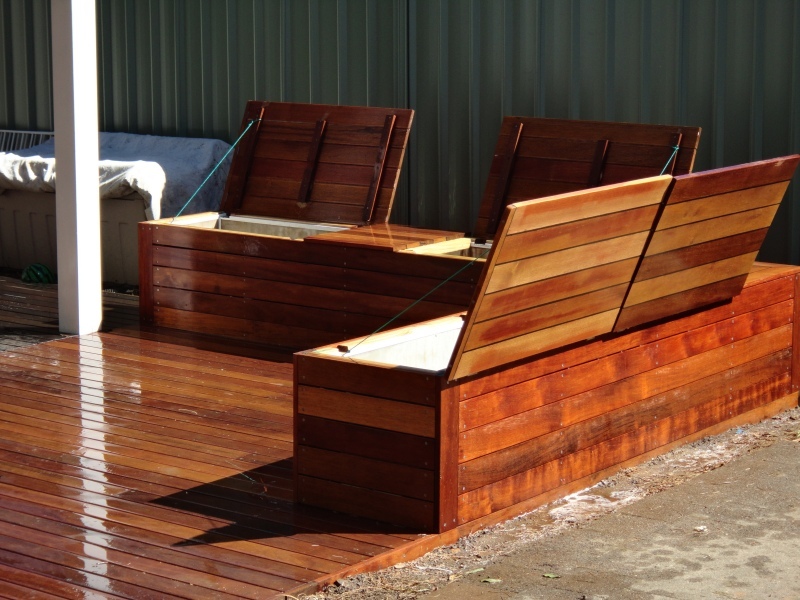 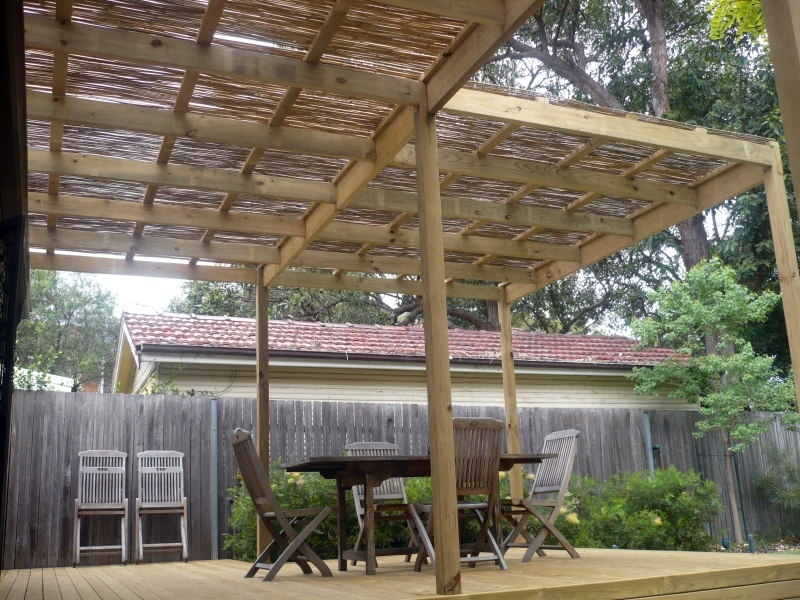 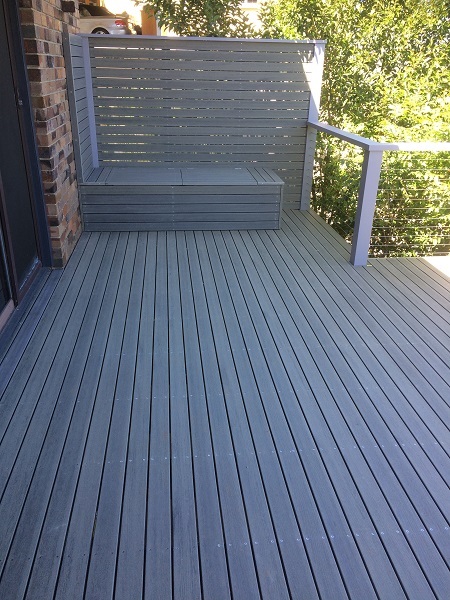 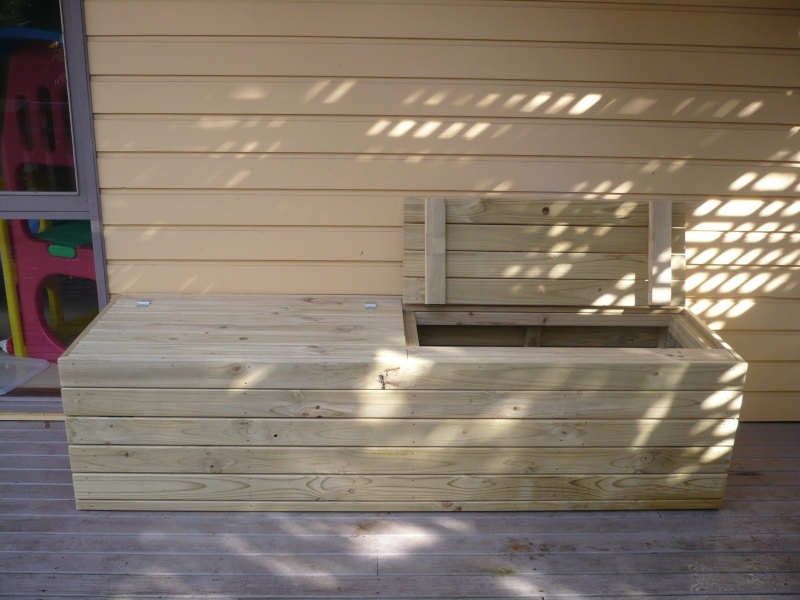 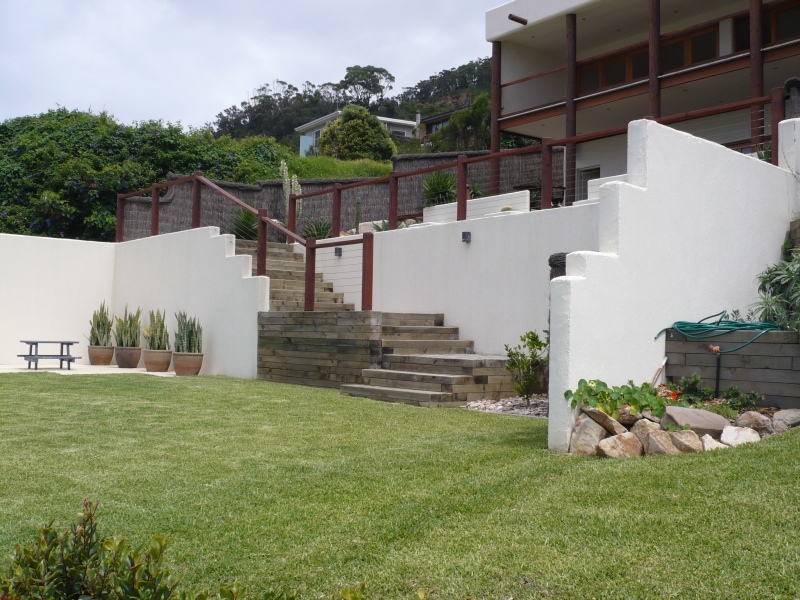 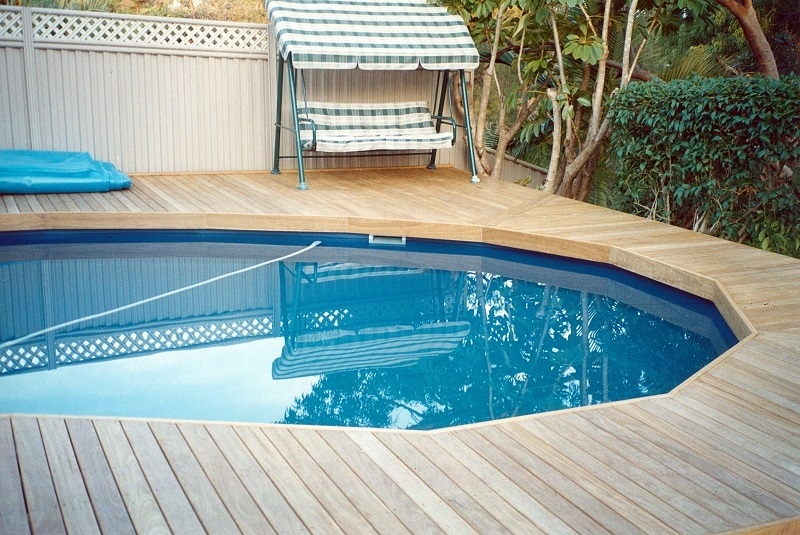 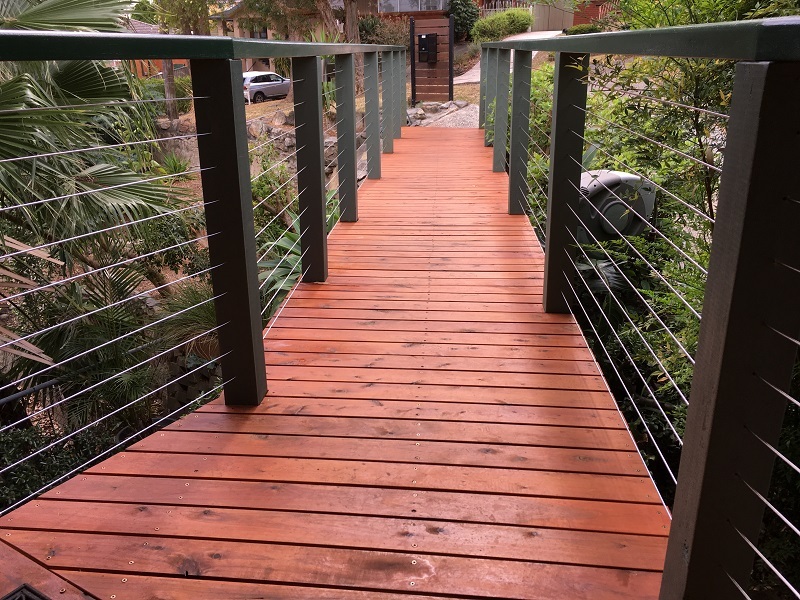 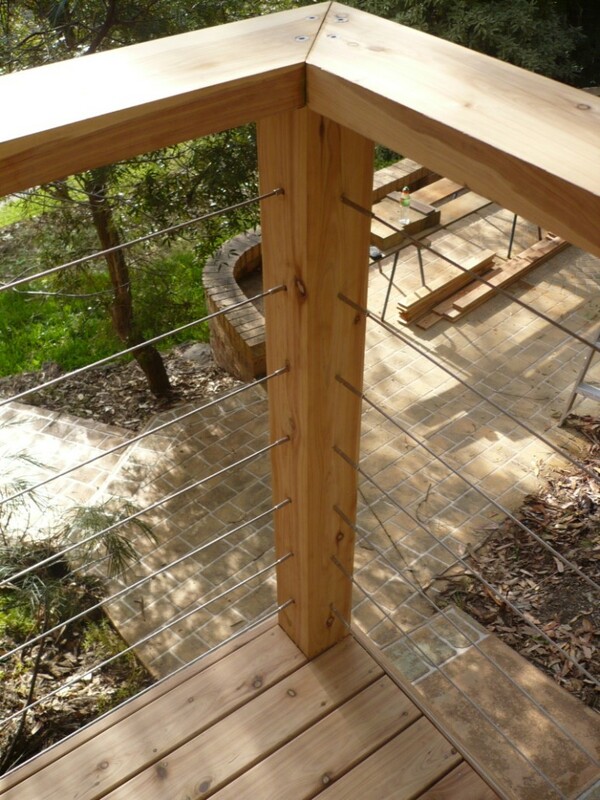 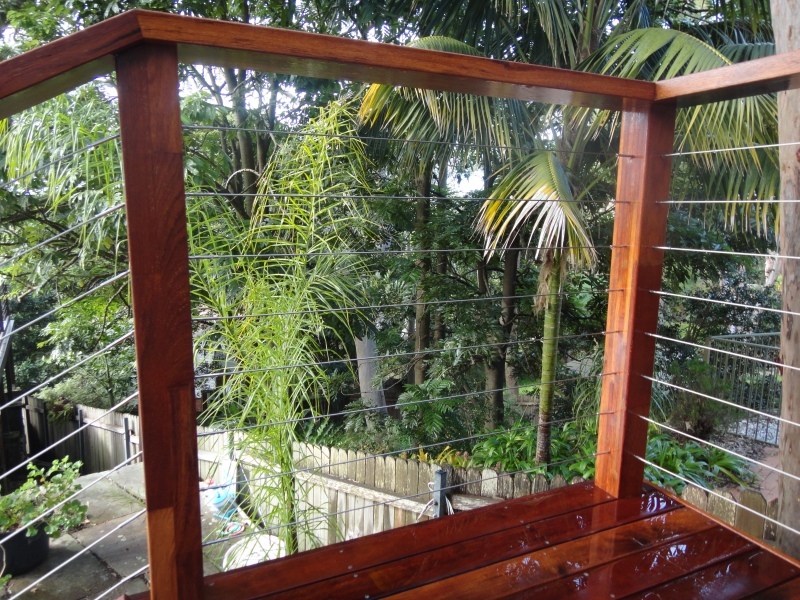 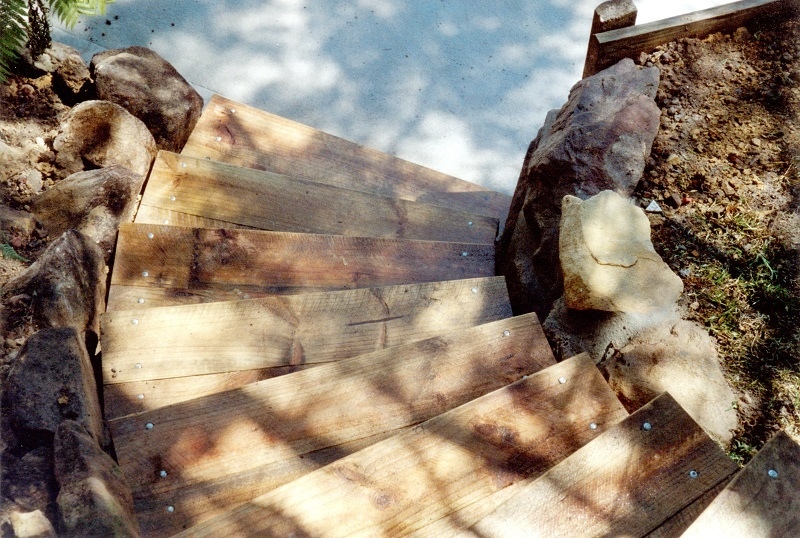 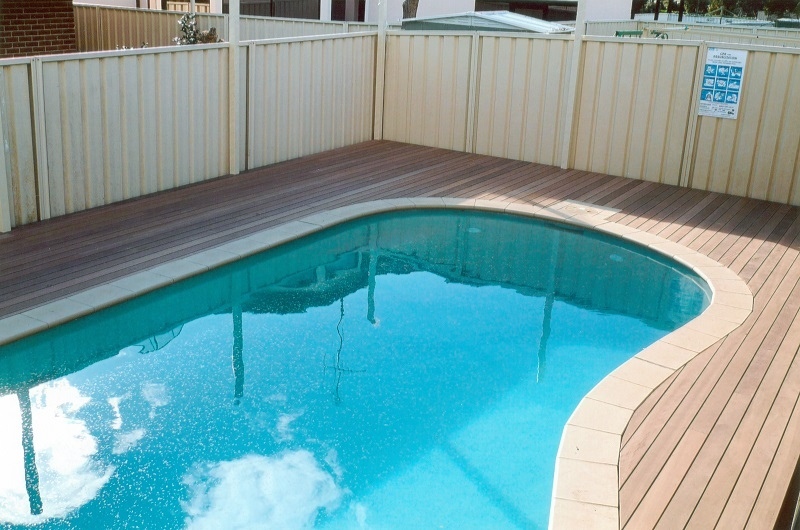 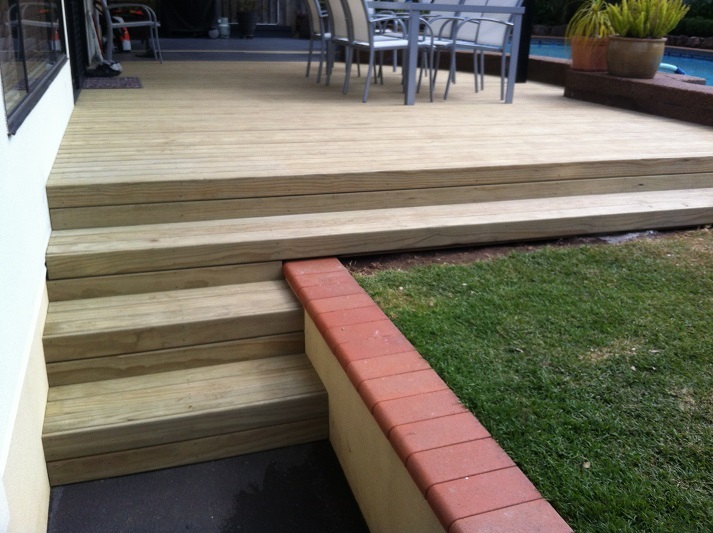 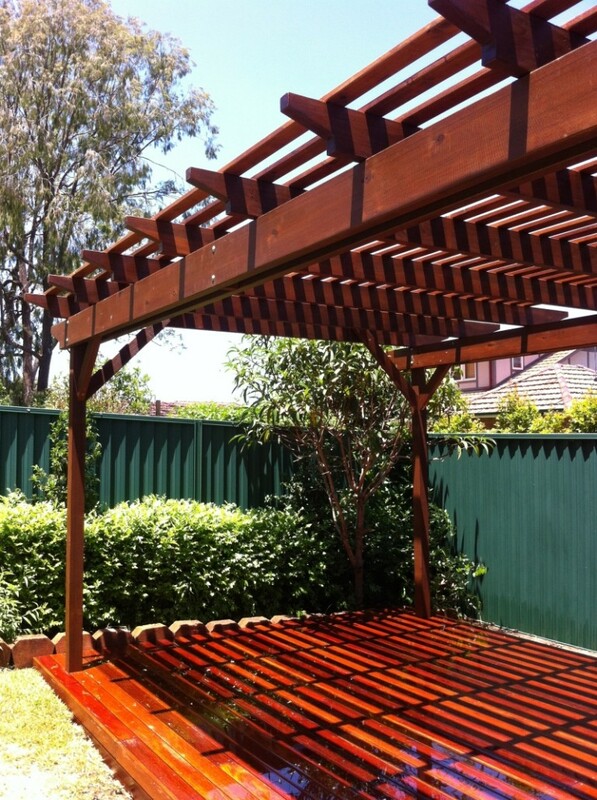 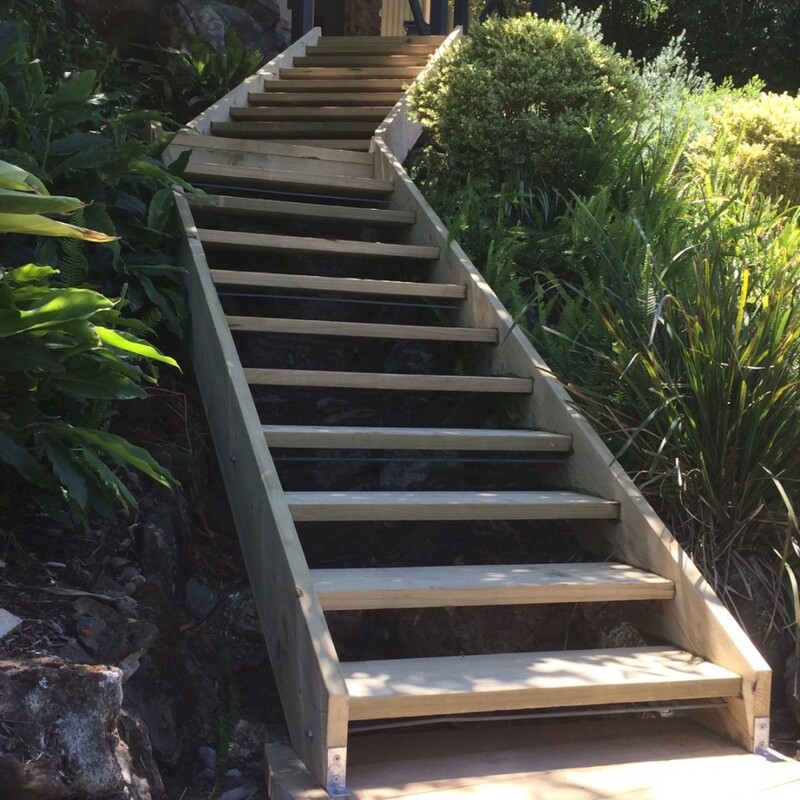 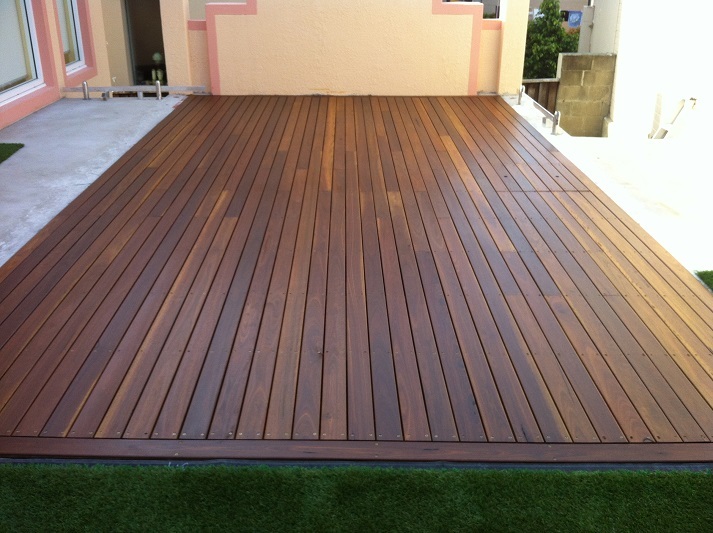 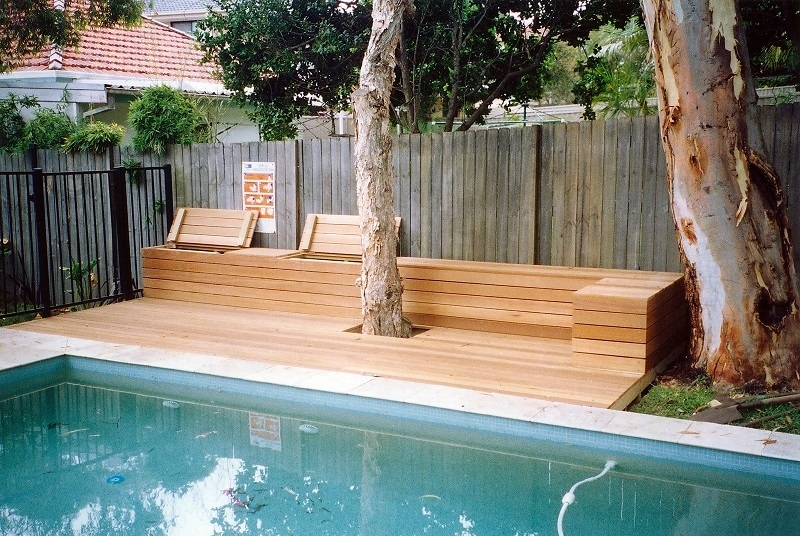 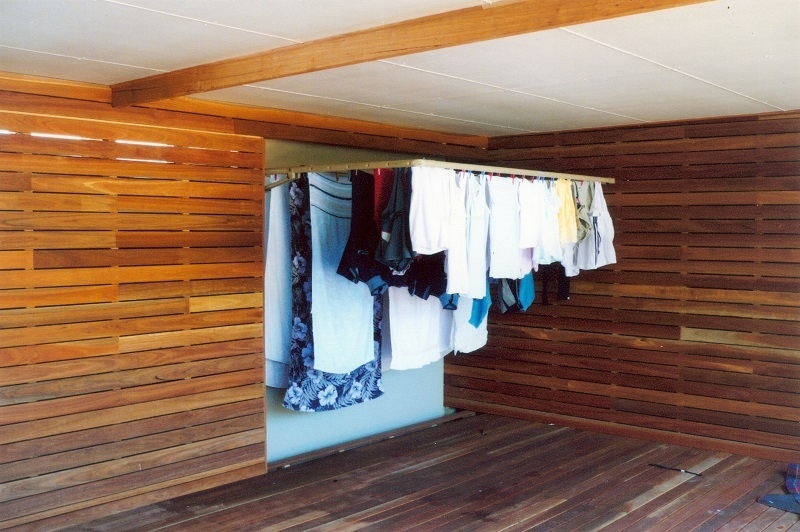 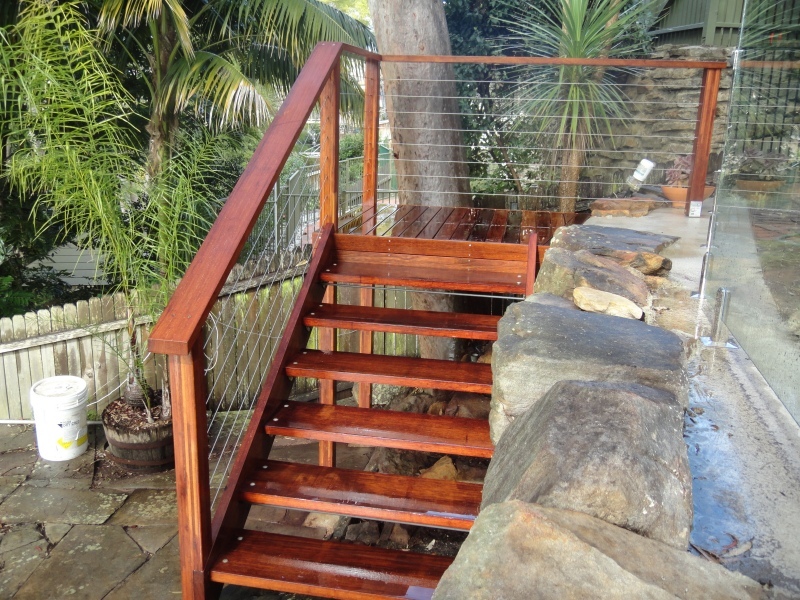 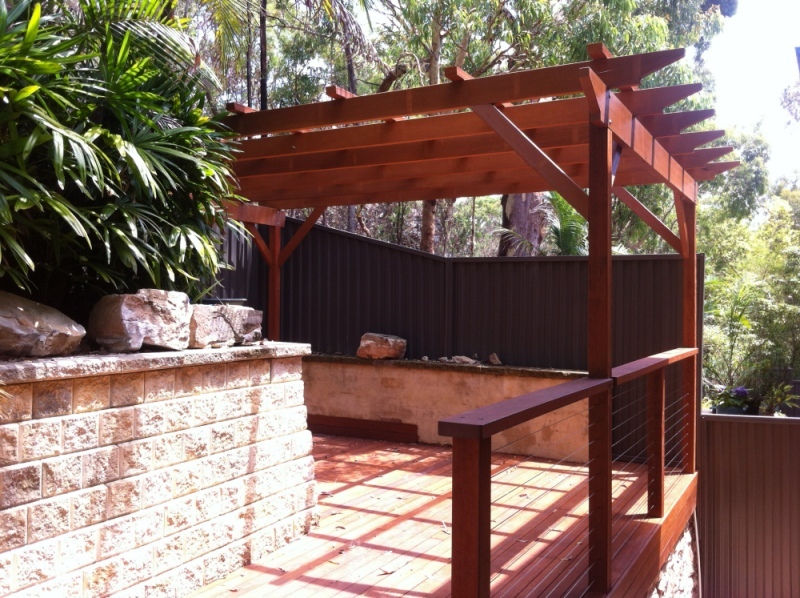 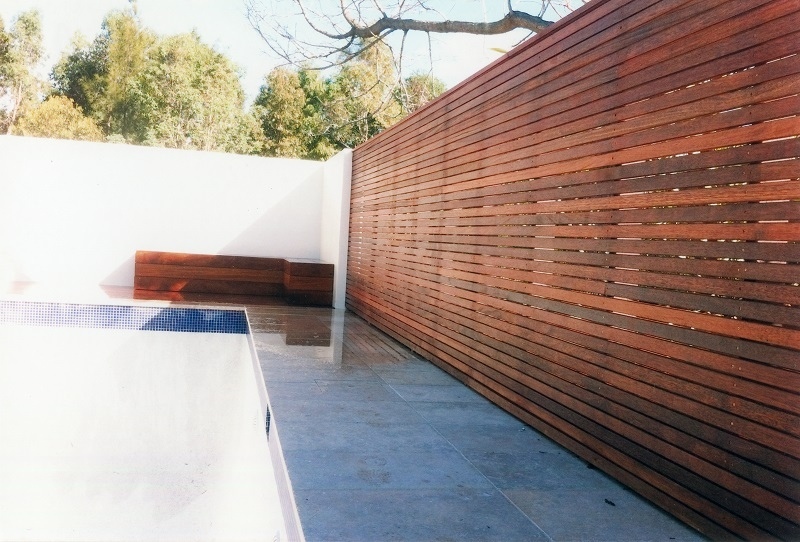 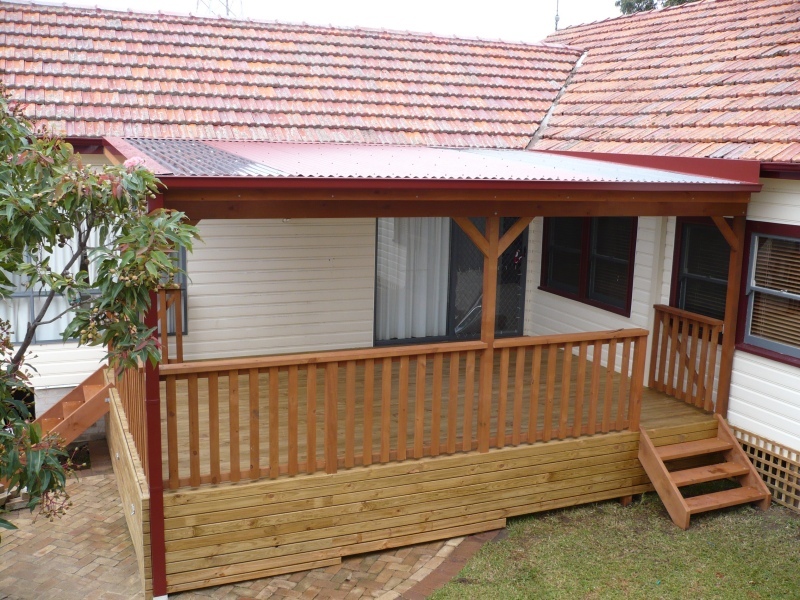 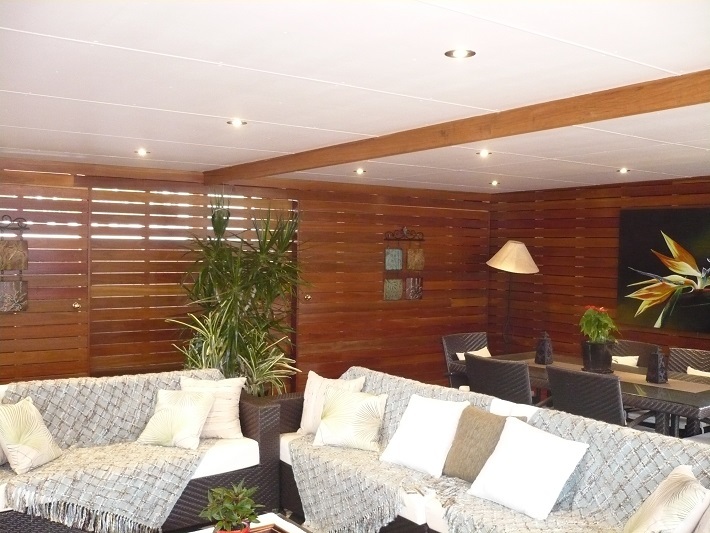 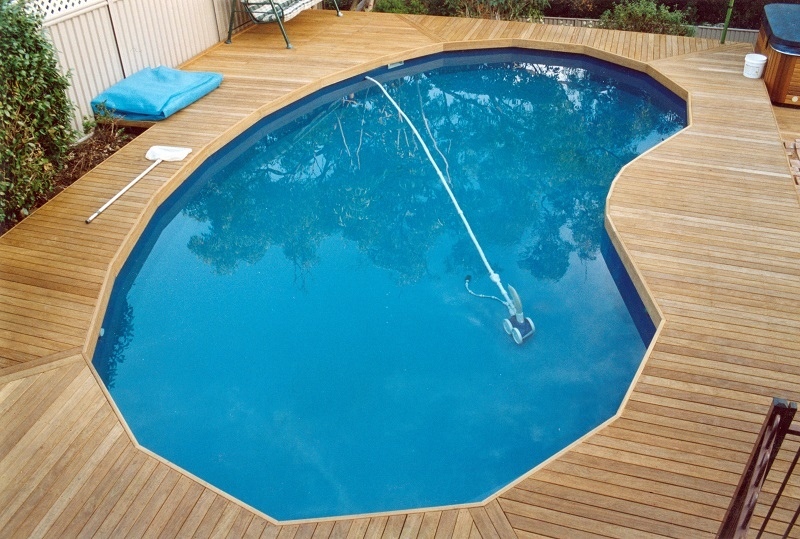 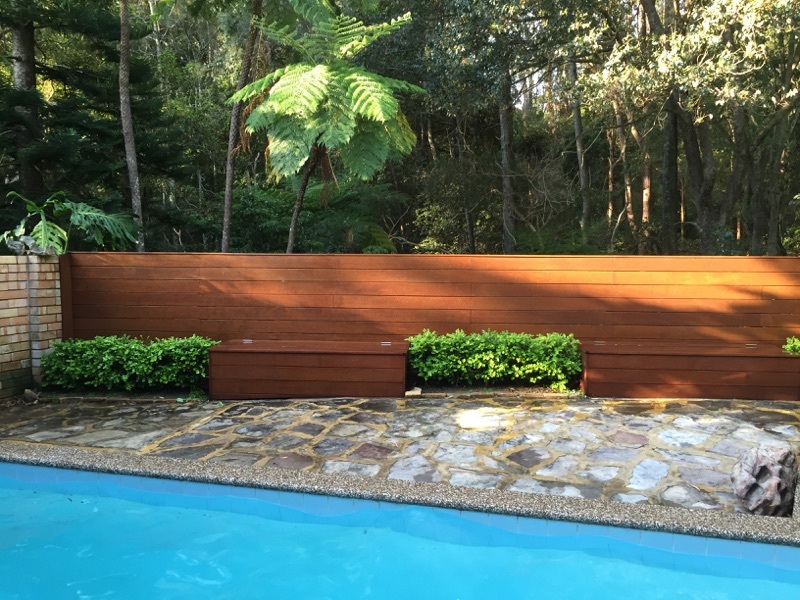 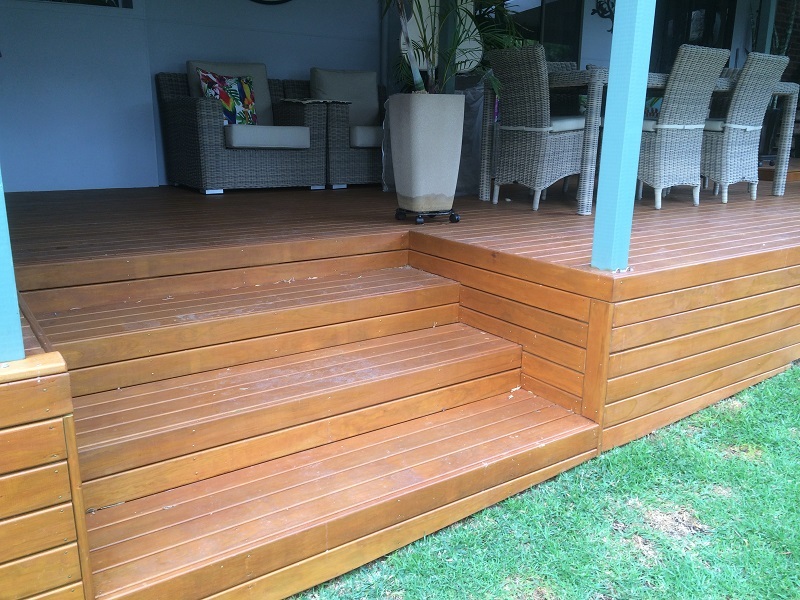 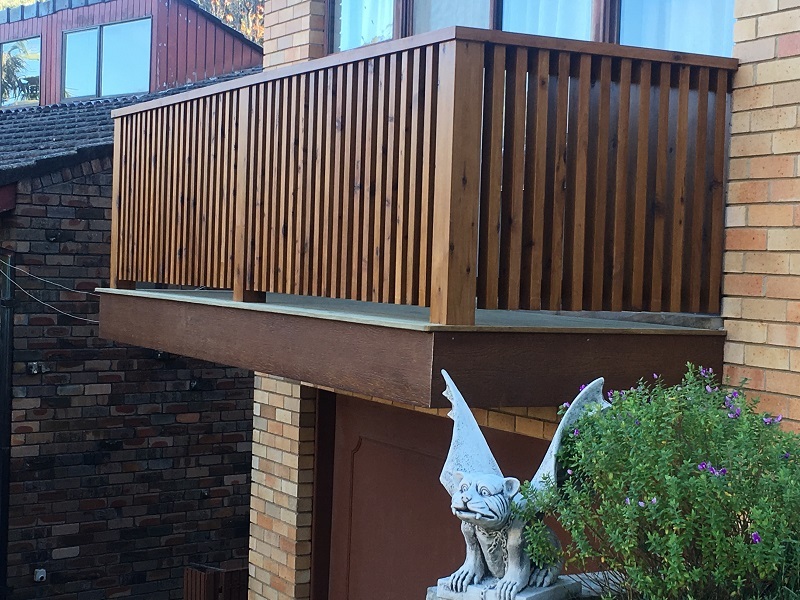 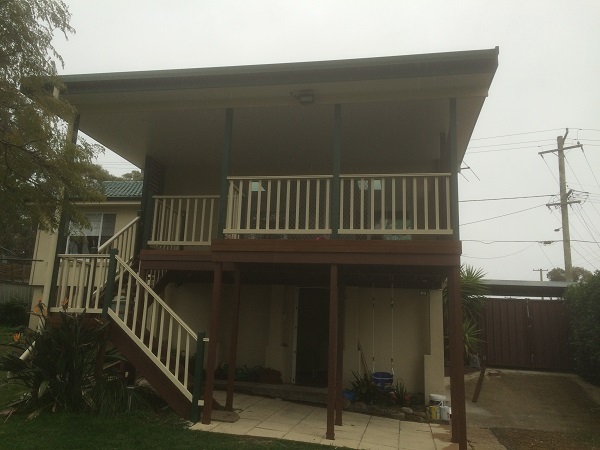 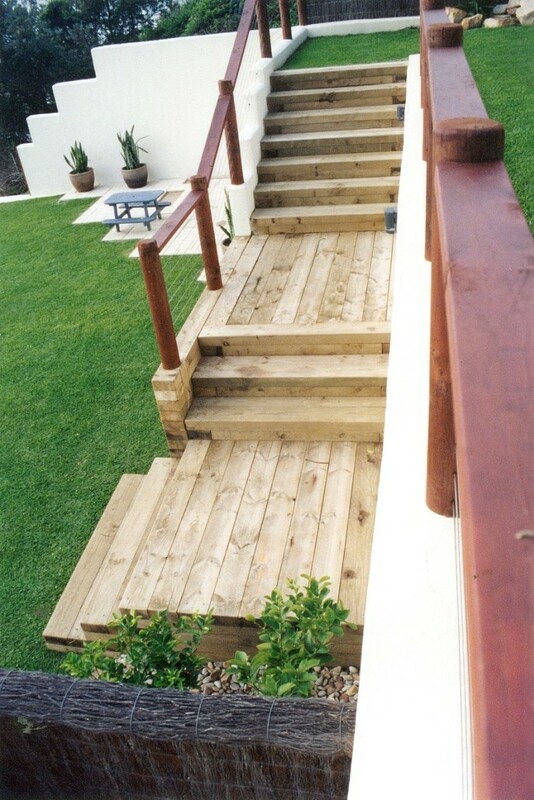 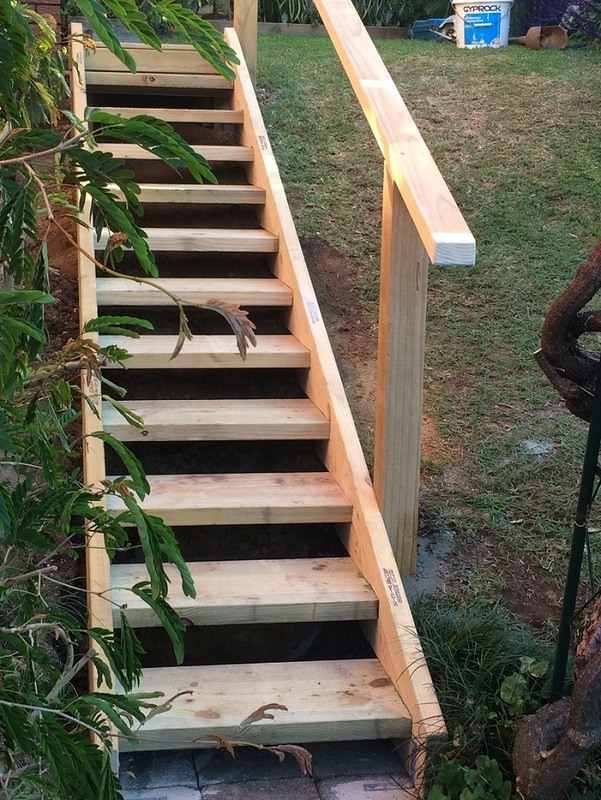 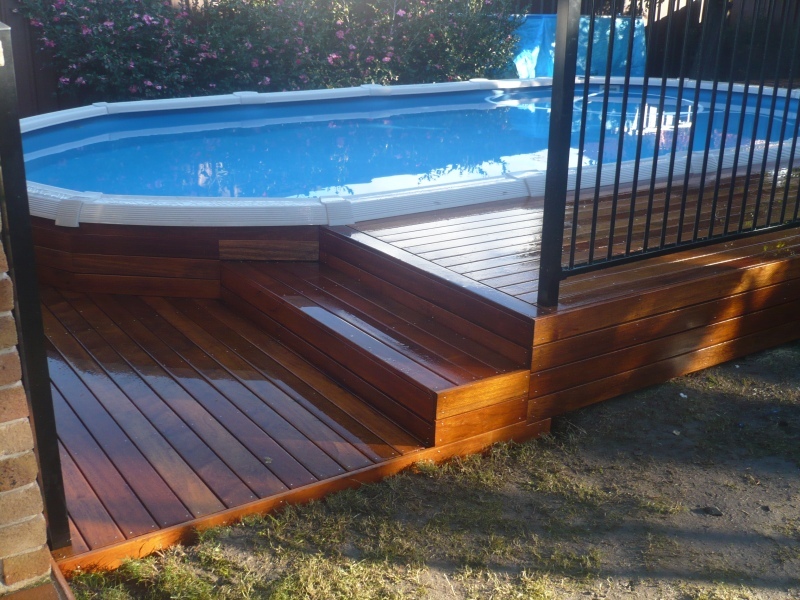 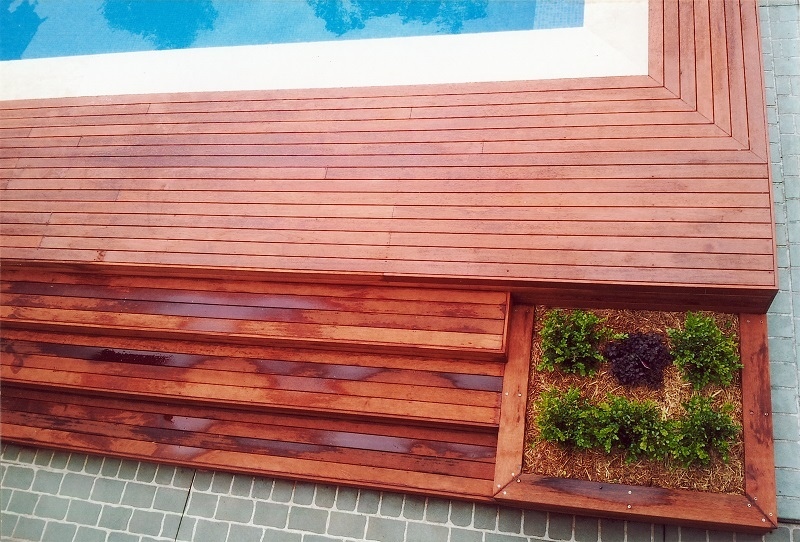 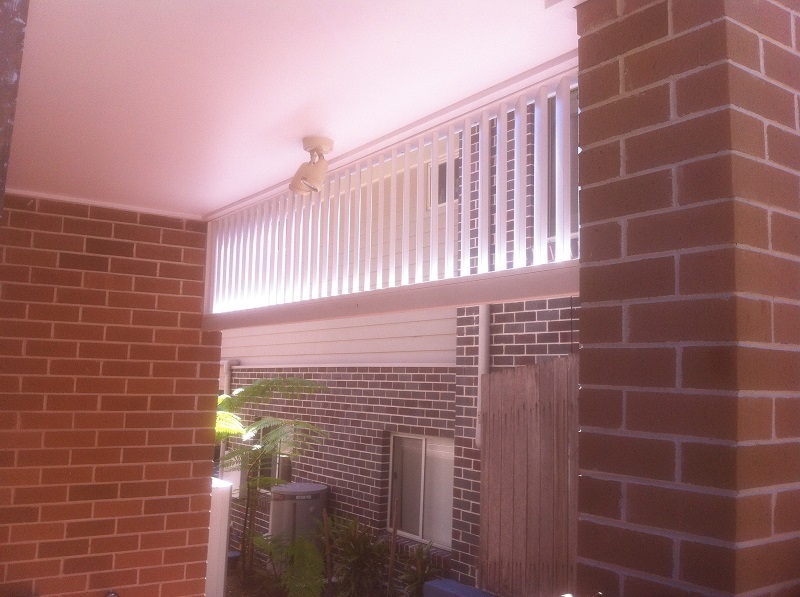 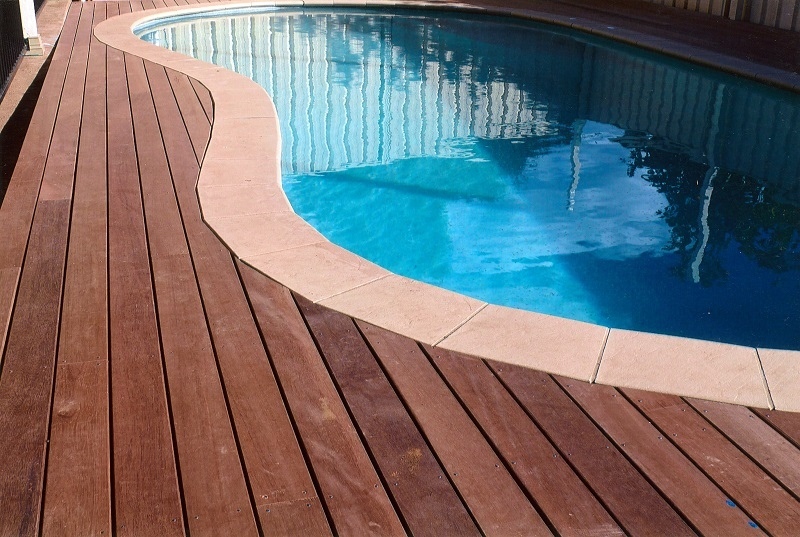 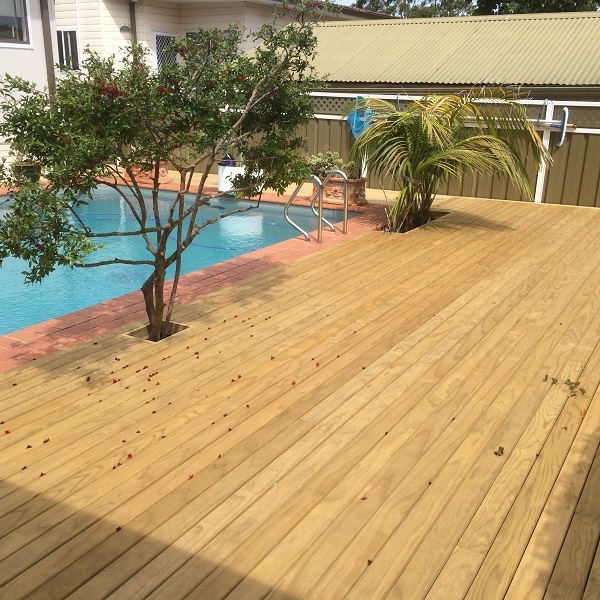 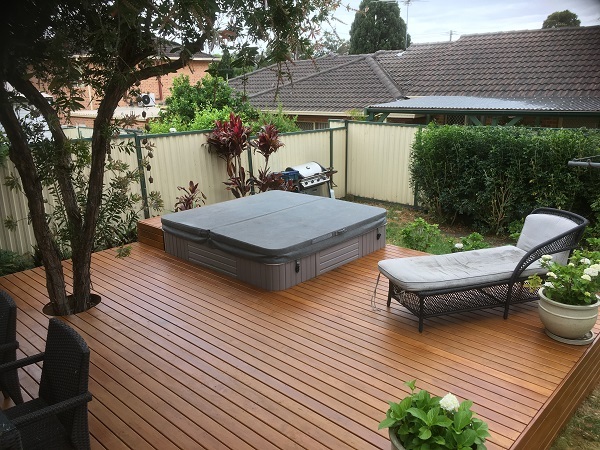 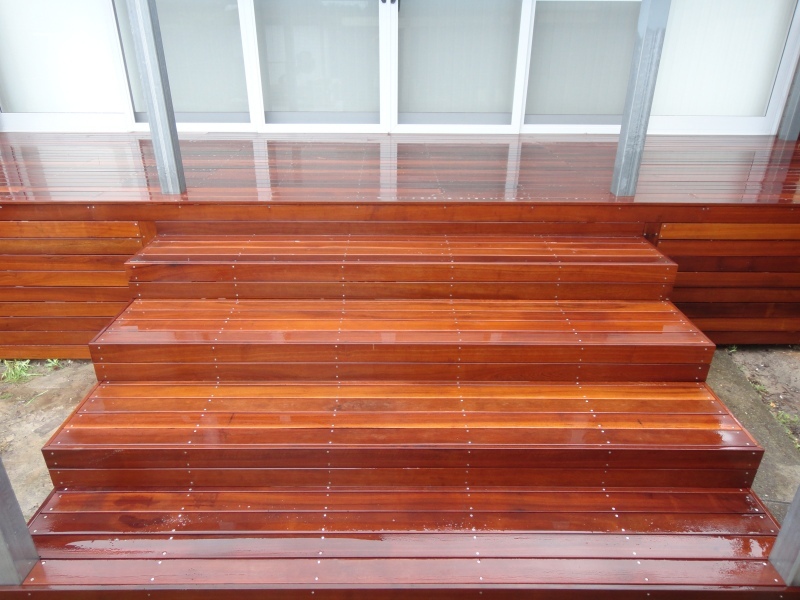 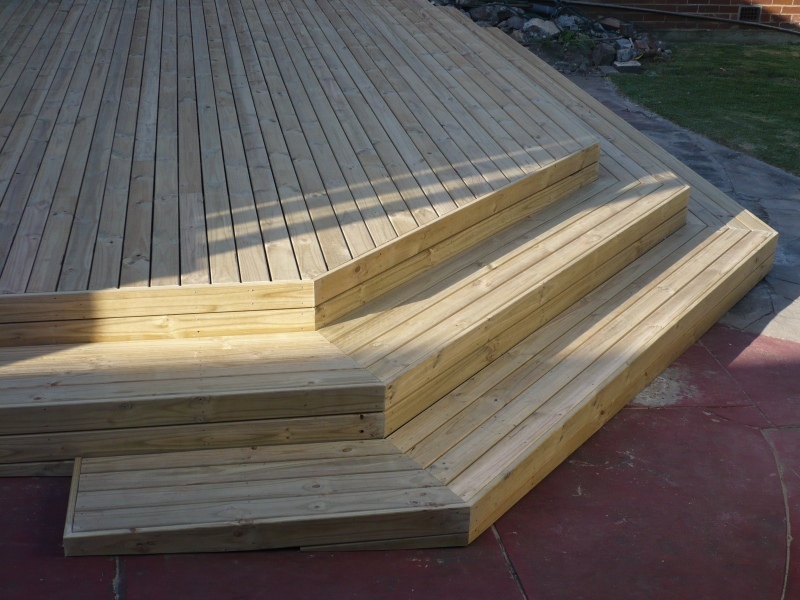 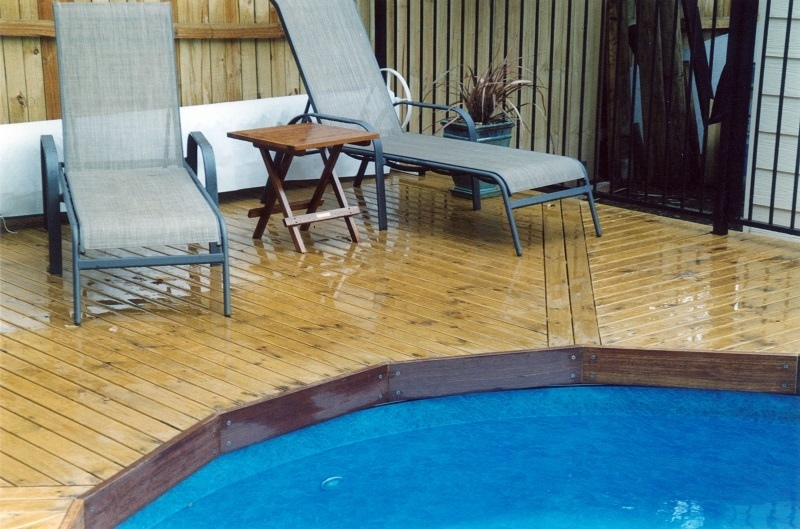 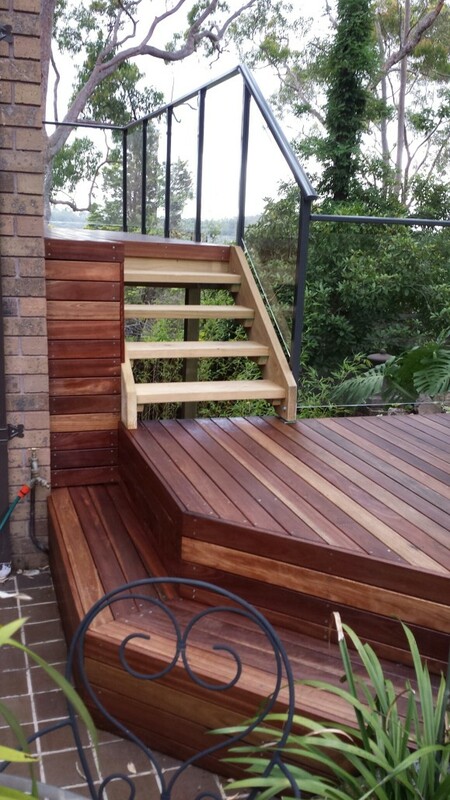 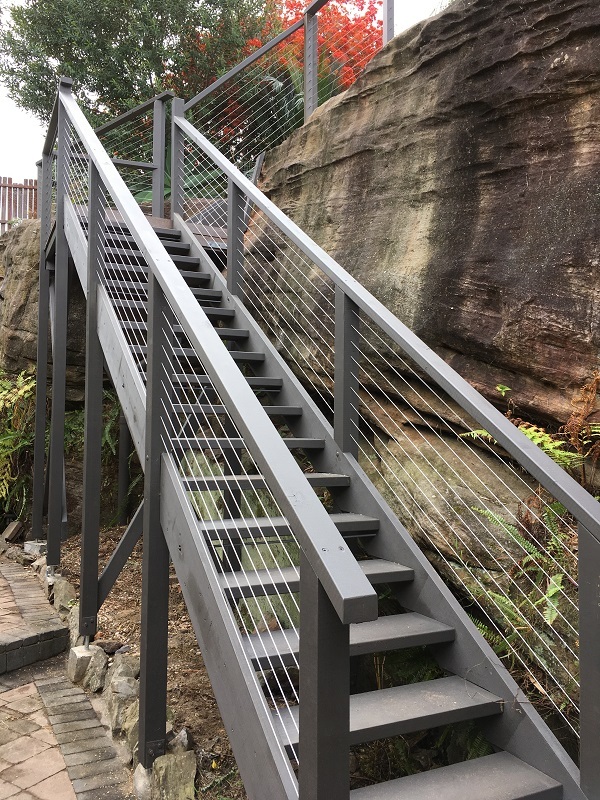 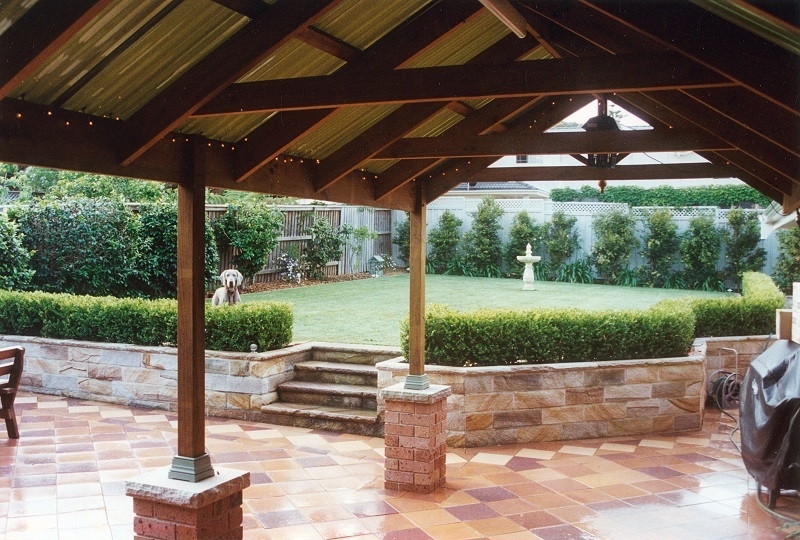 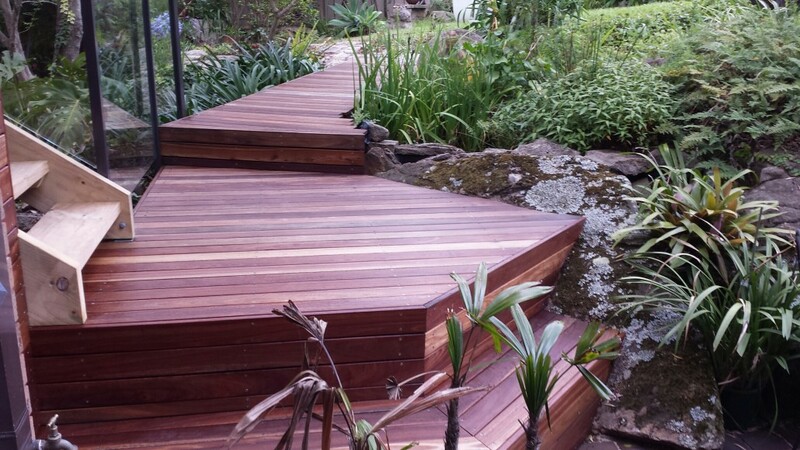 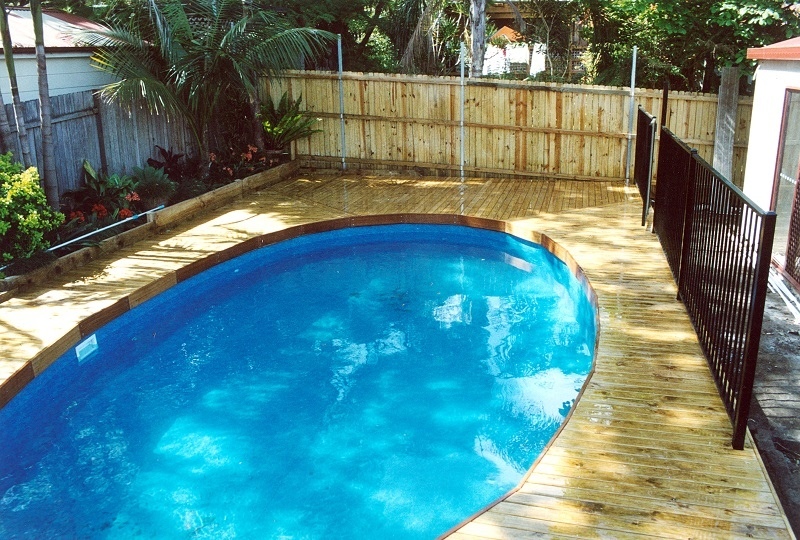 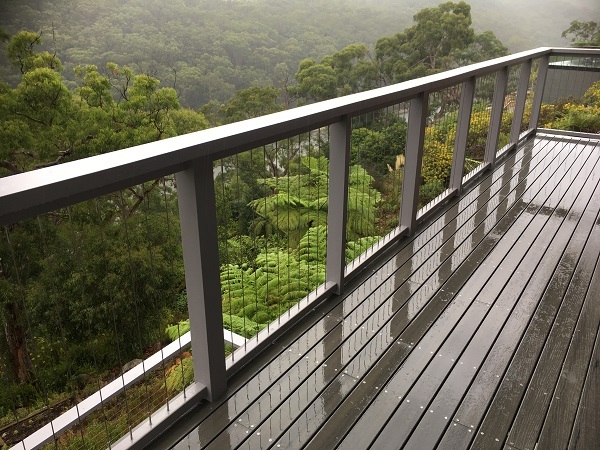 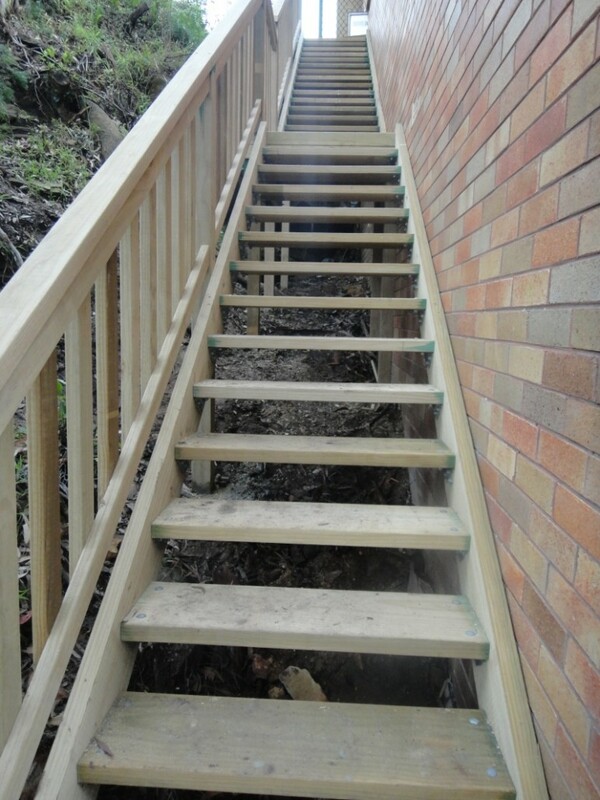 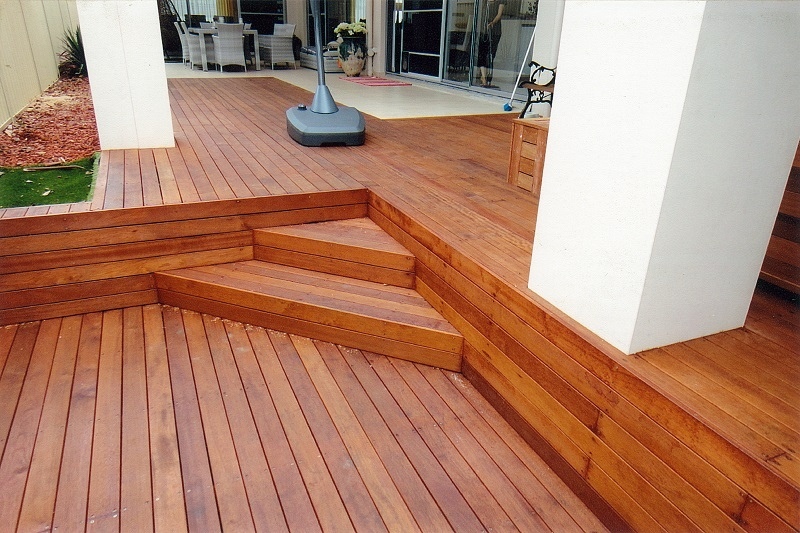 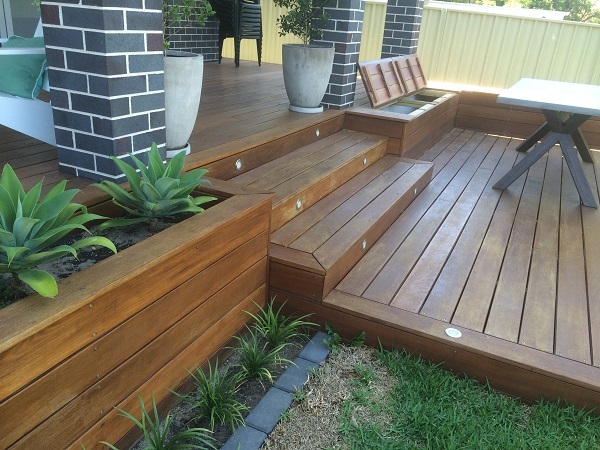 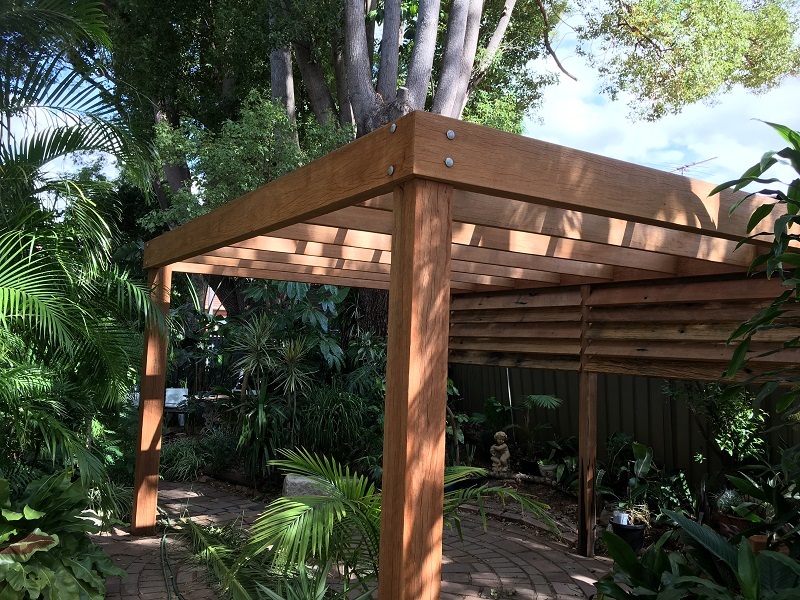 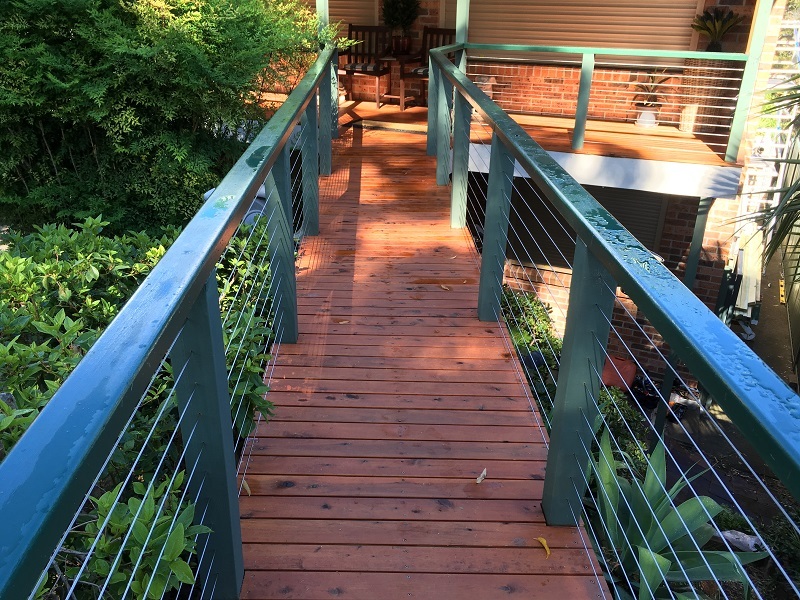 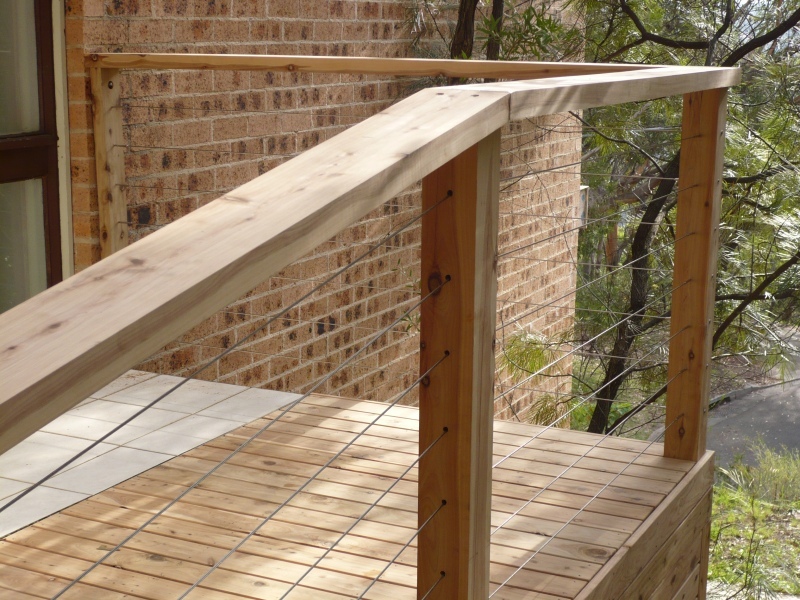 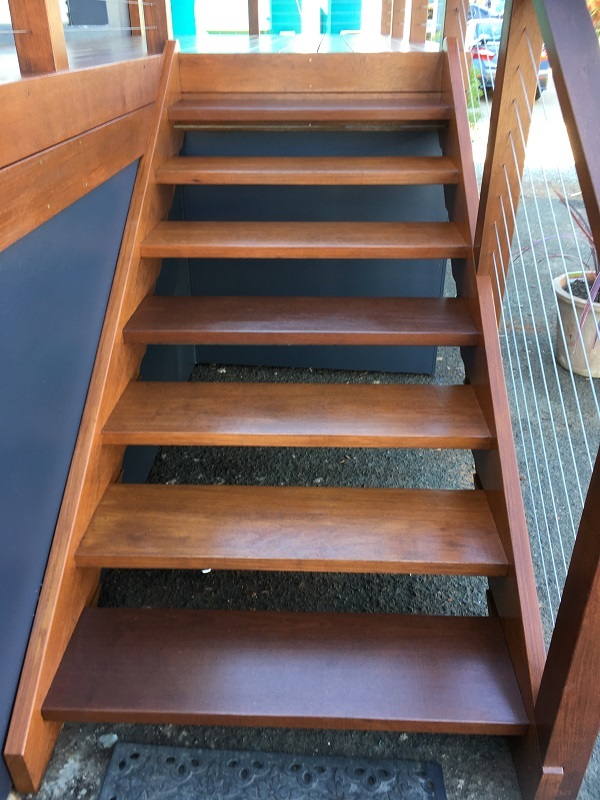 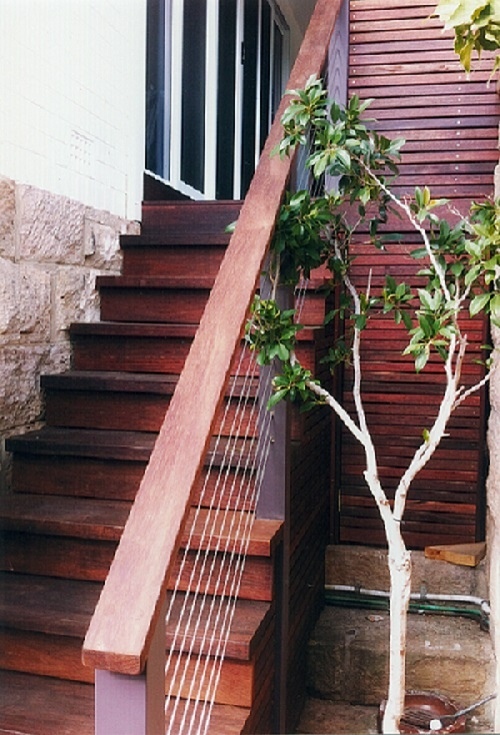 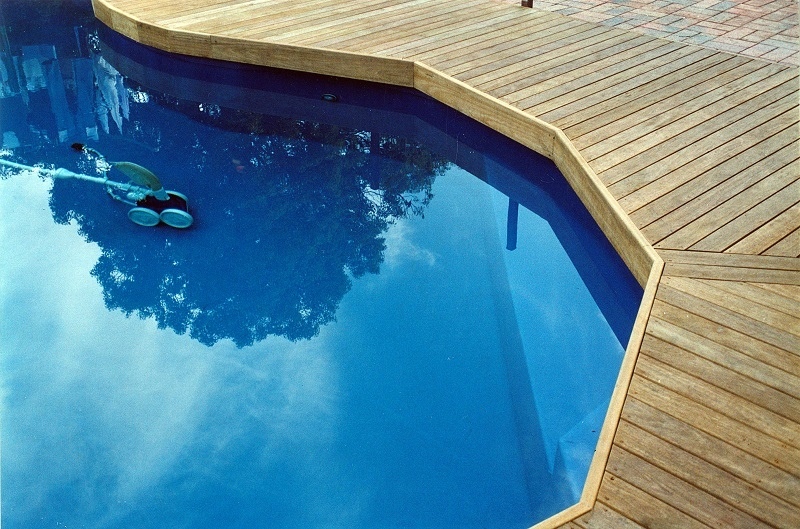 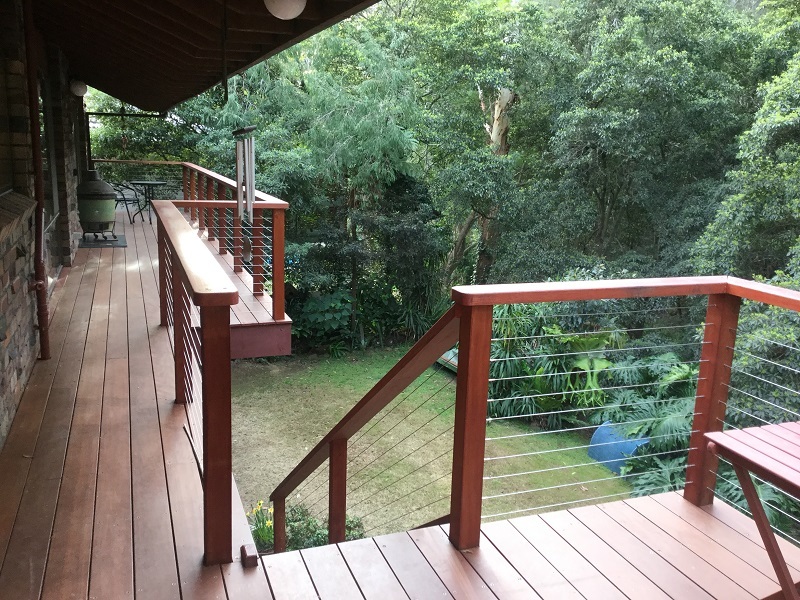 LUGARNO - 140 x 19mm Brazilian Cherry decking boards with Jarra posts and handrails.